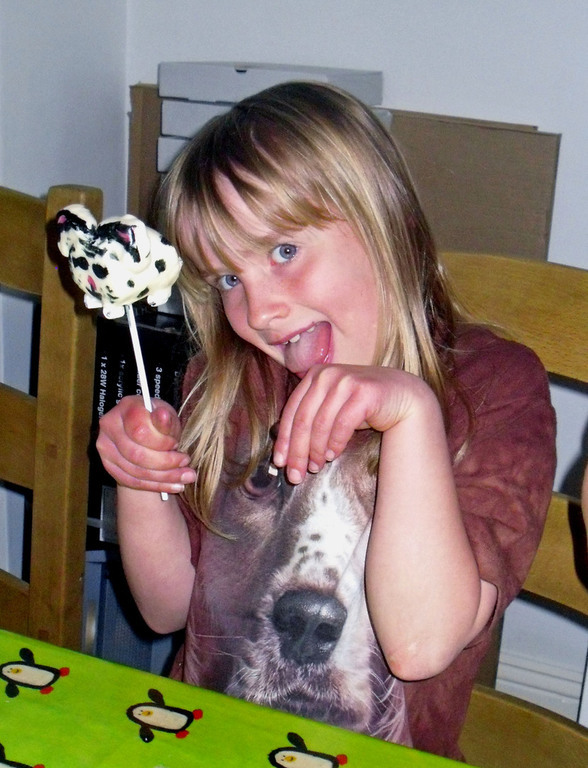 Don't like cake or chocolate (REALLY?!!) 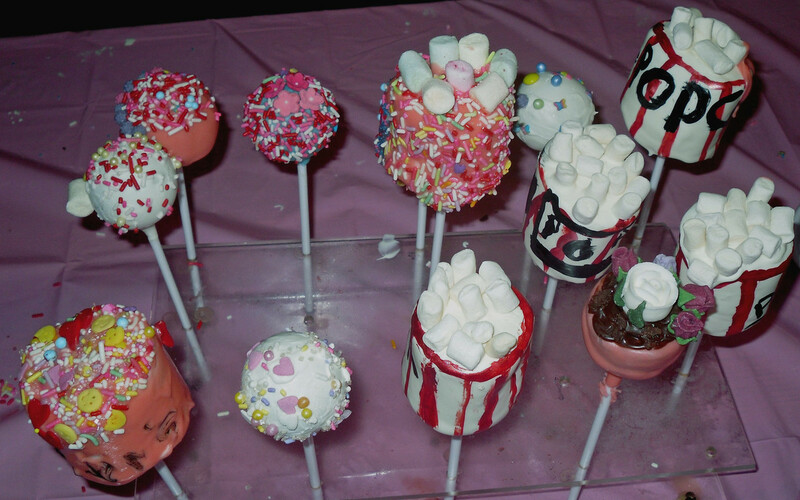 - well perhaps a MARSHMALLOW PARTY is the choice for you and yours. 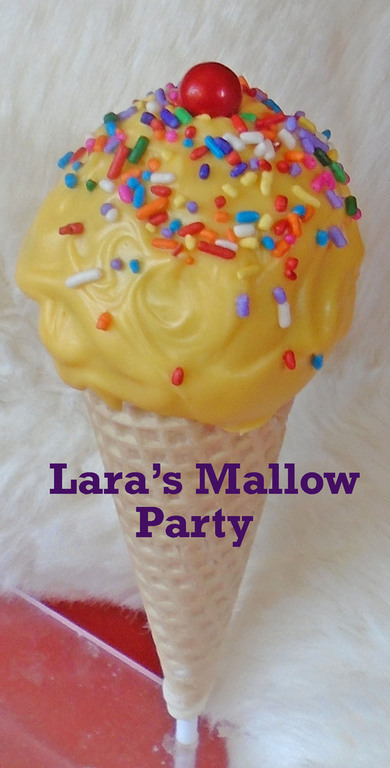 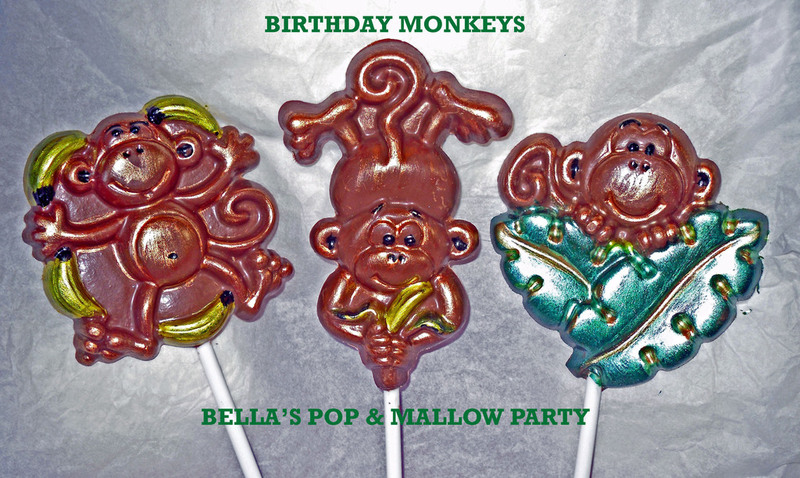 There are lots of fun things to make with mallows, so I thought this could become party idea Number 3! 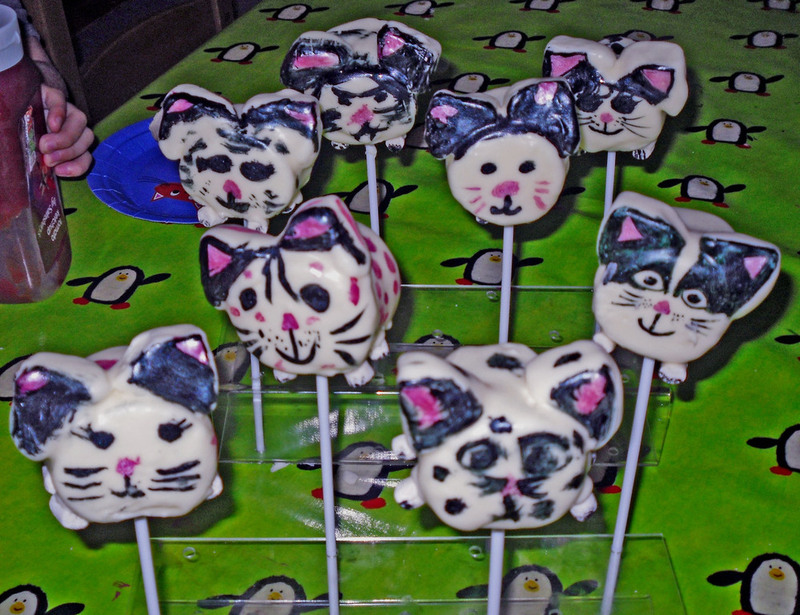 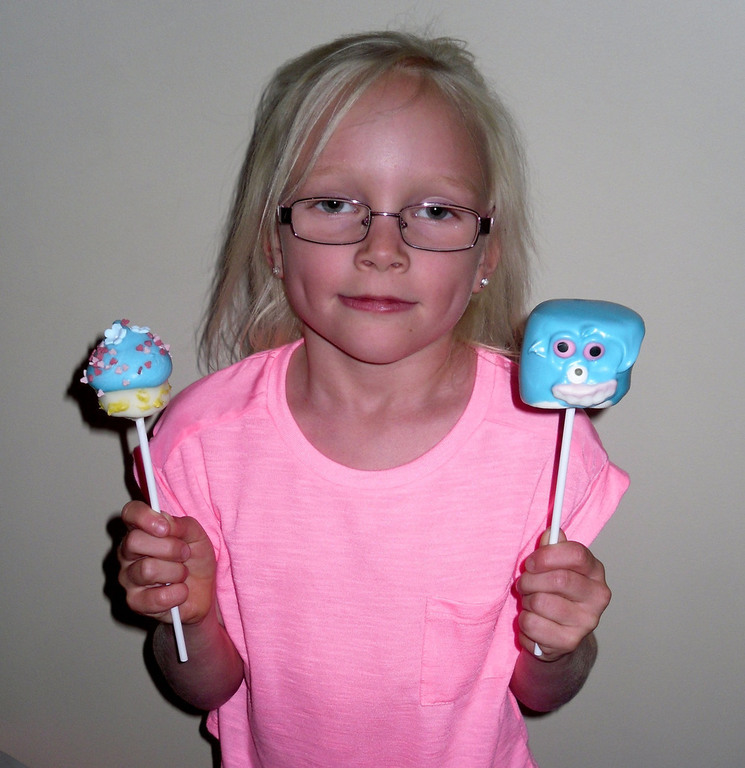 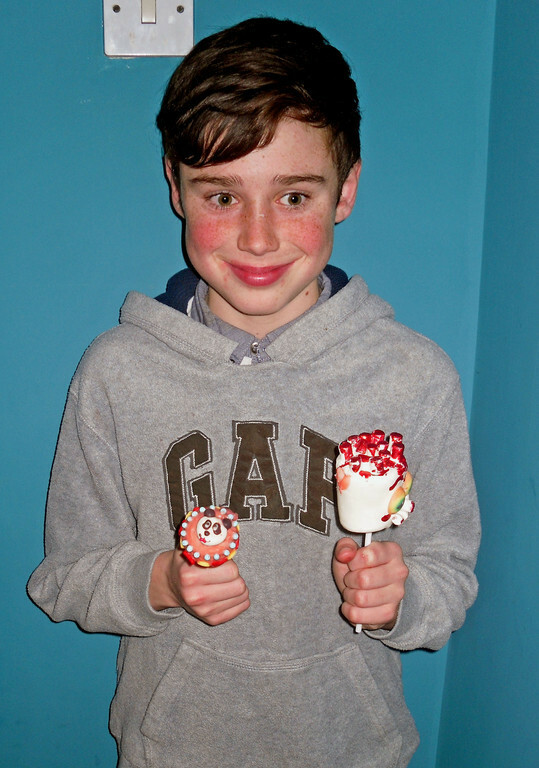 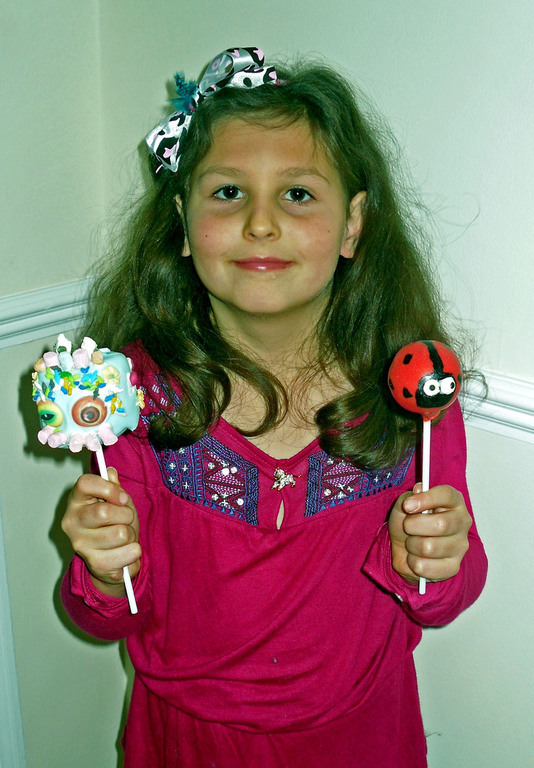 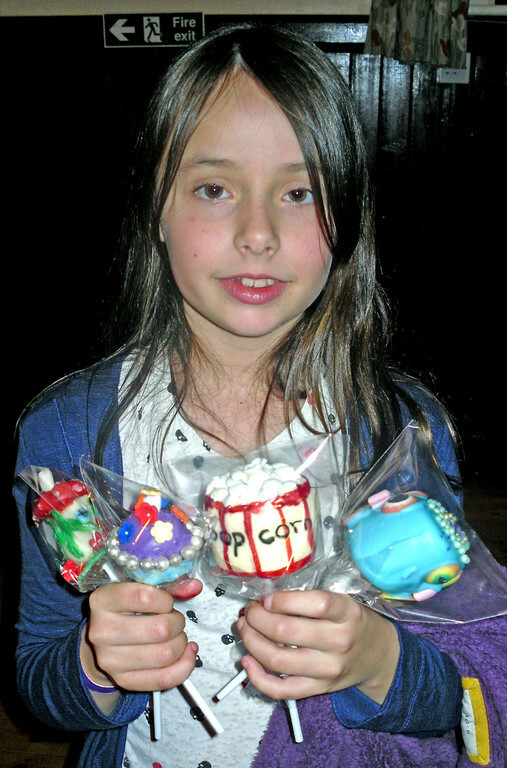 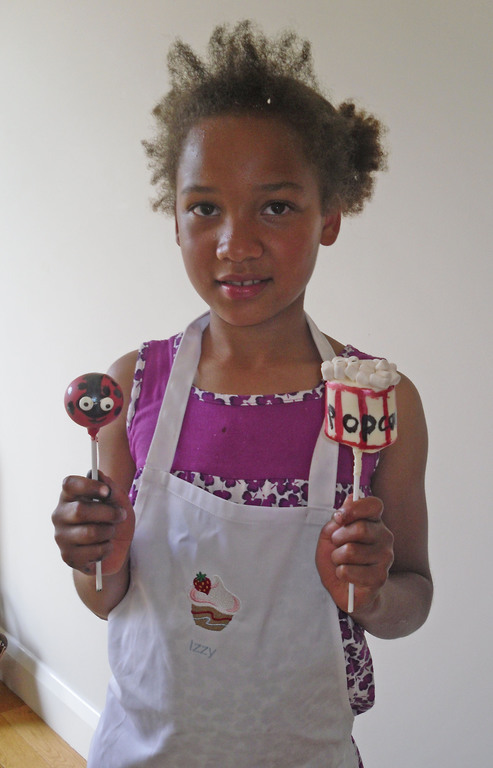 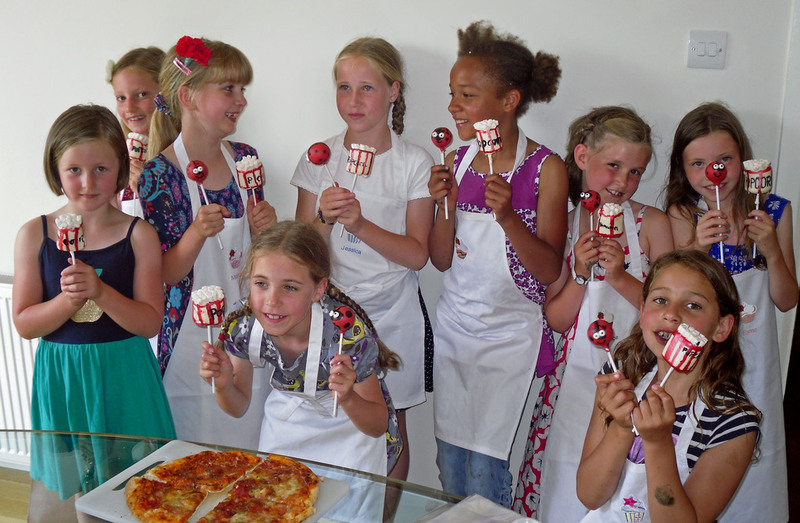 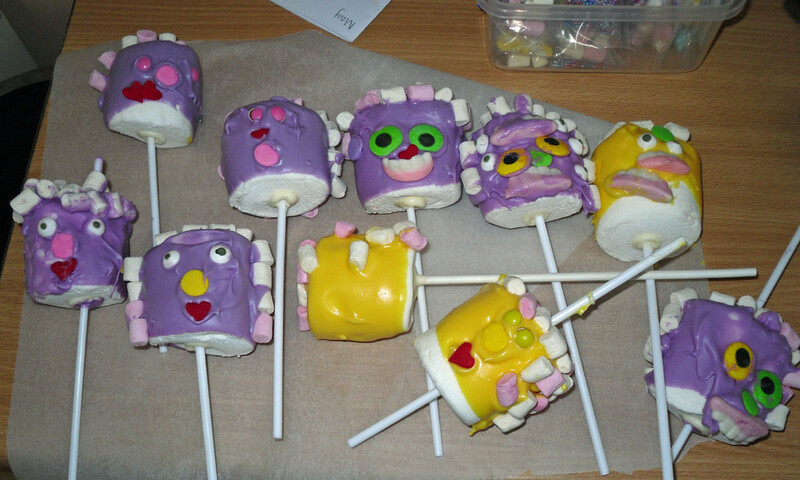 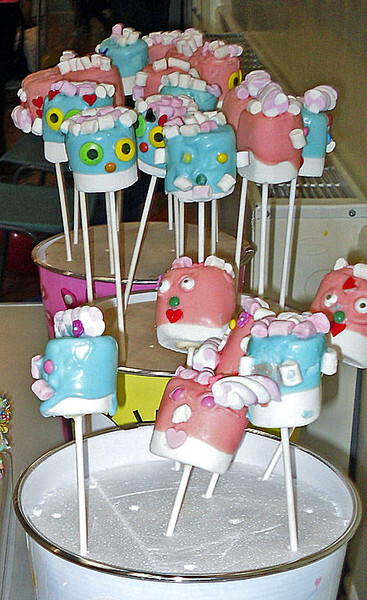 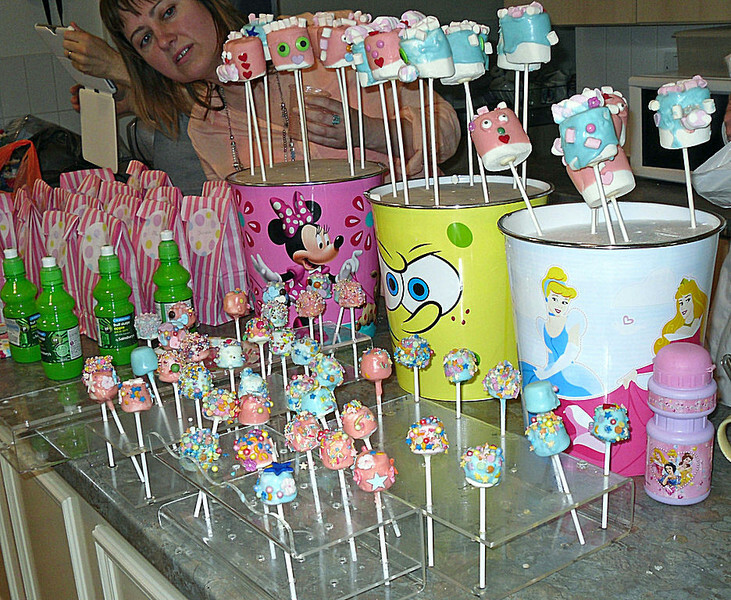 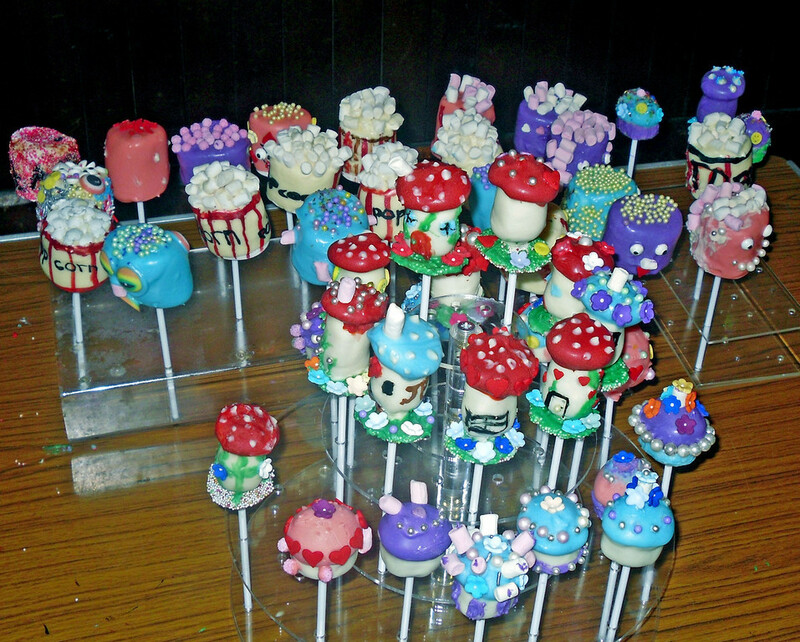 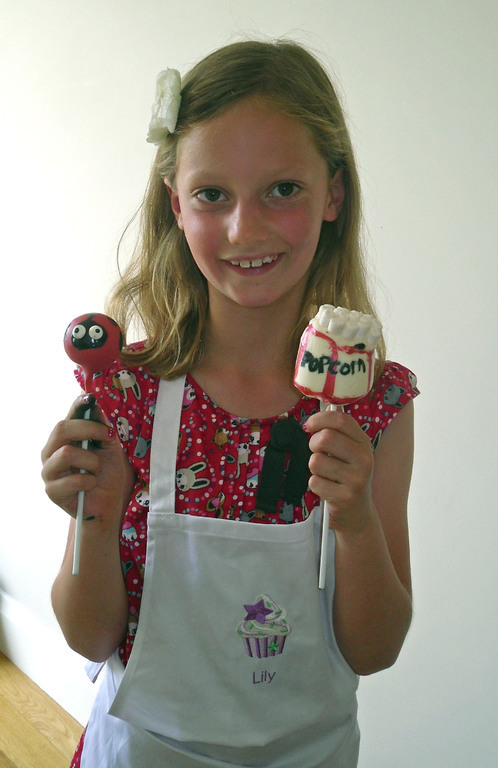 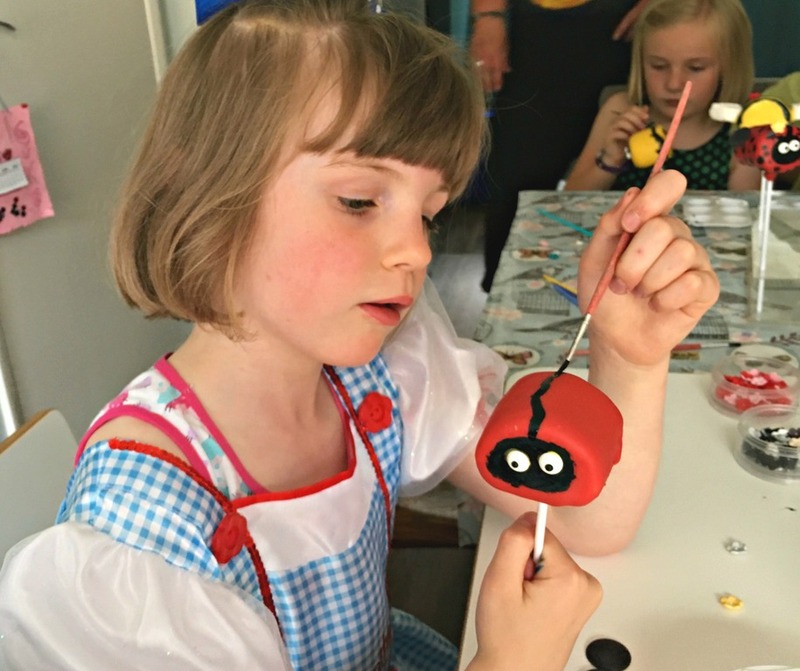 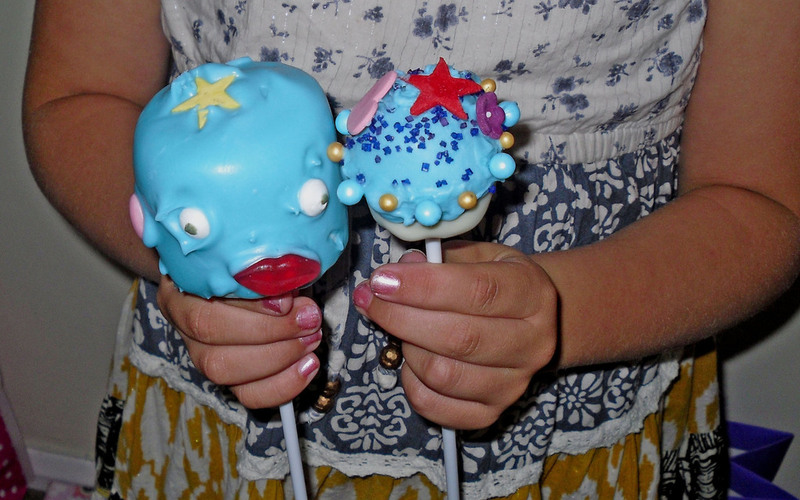 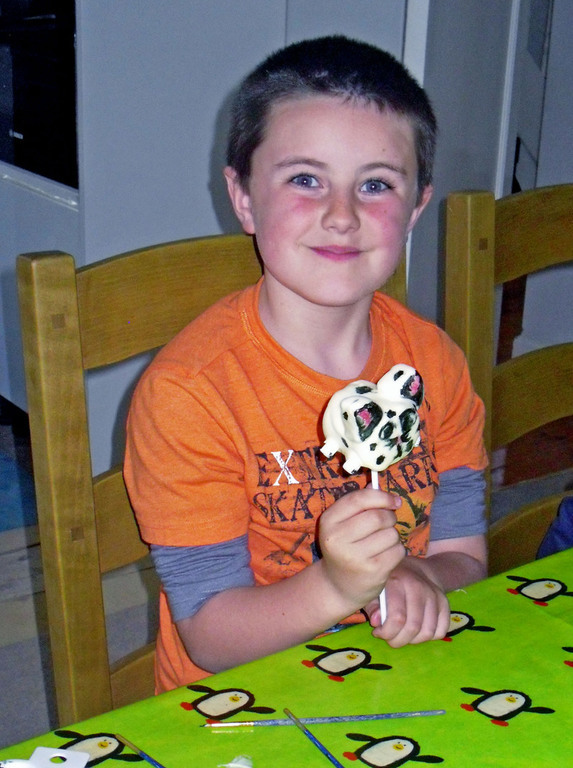 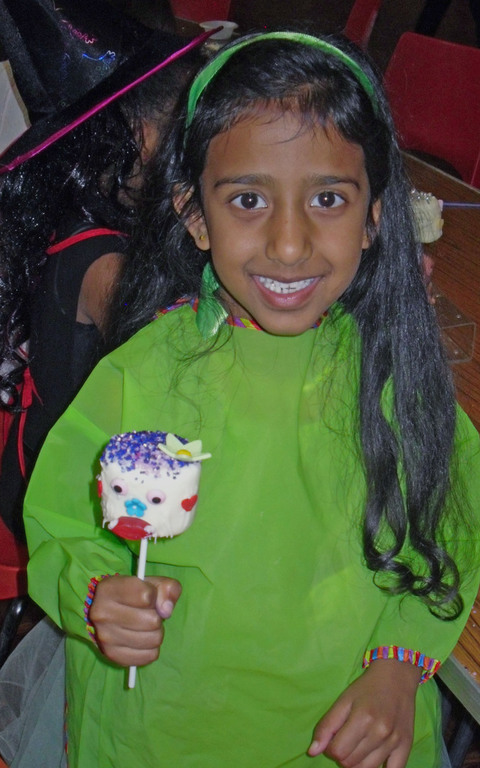 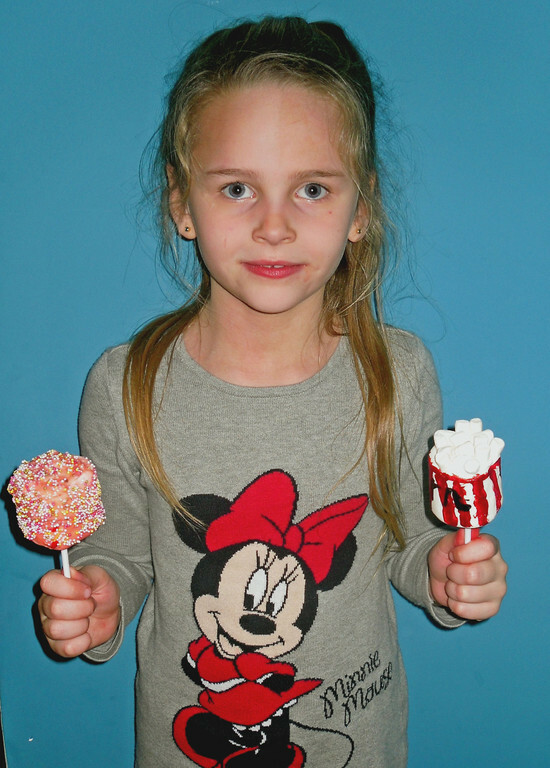 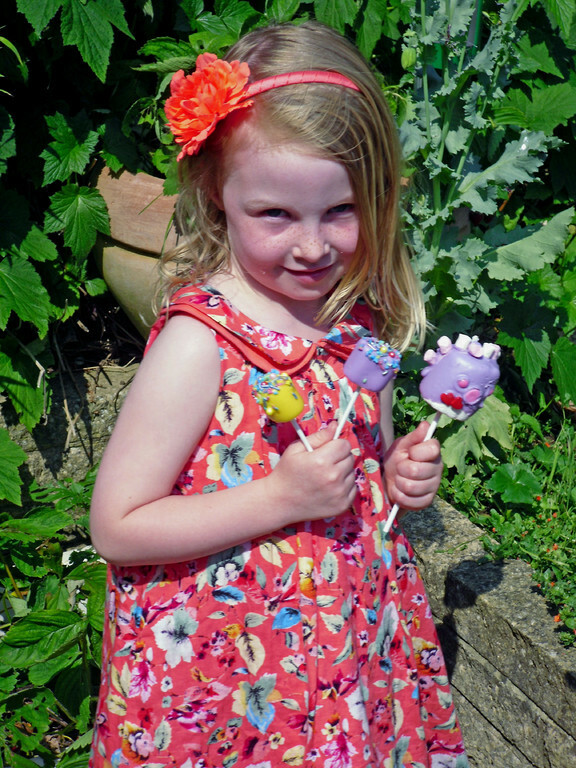 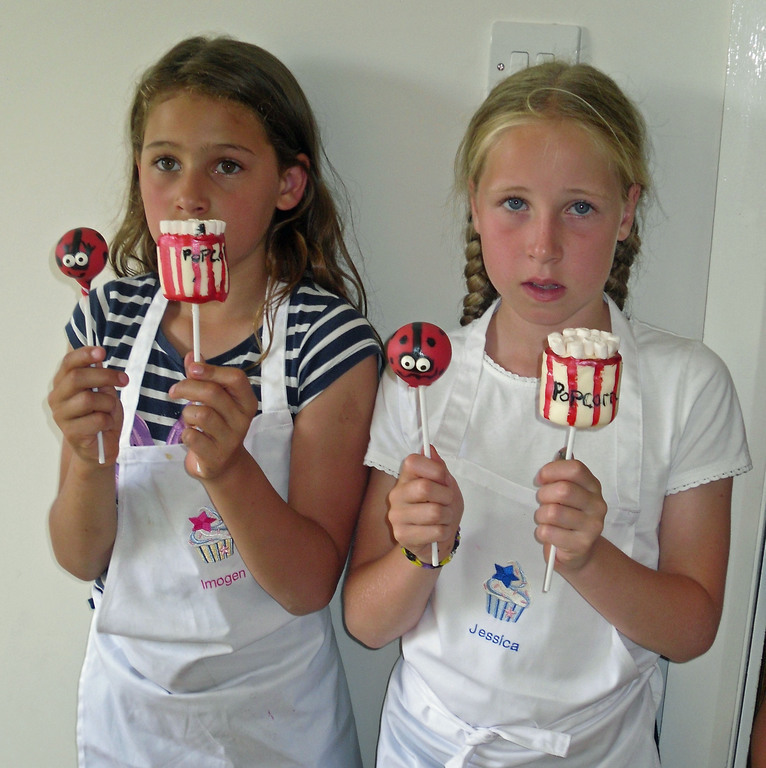 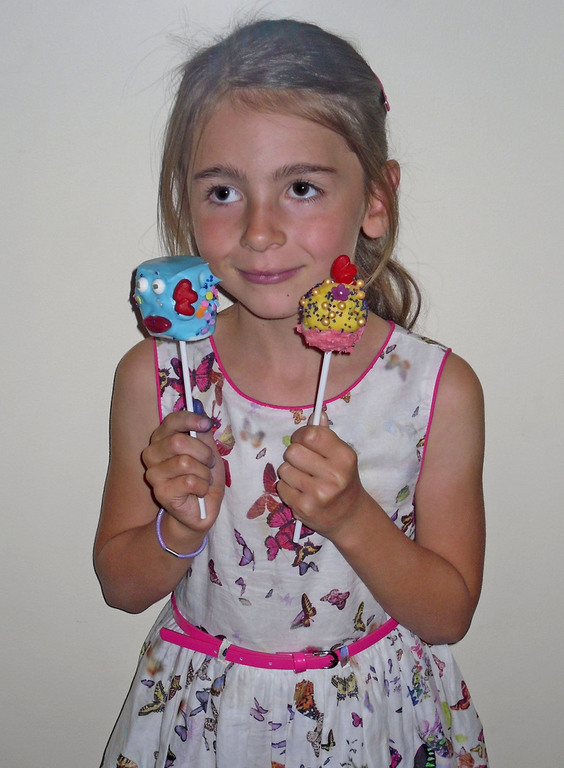 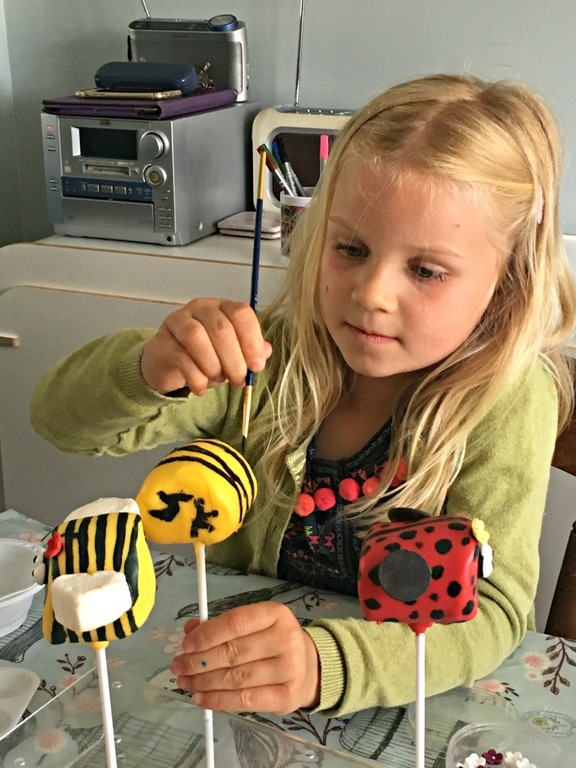 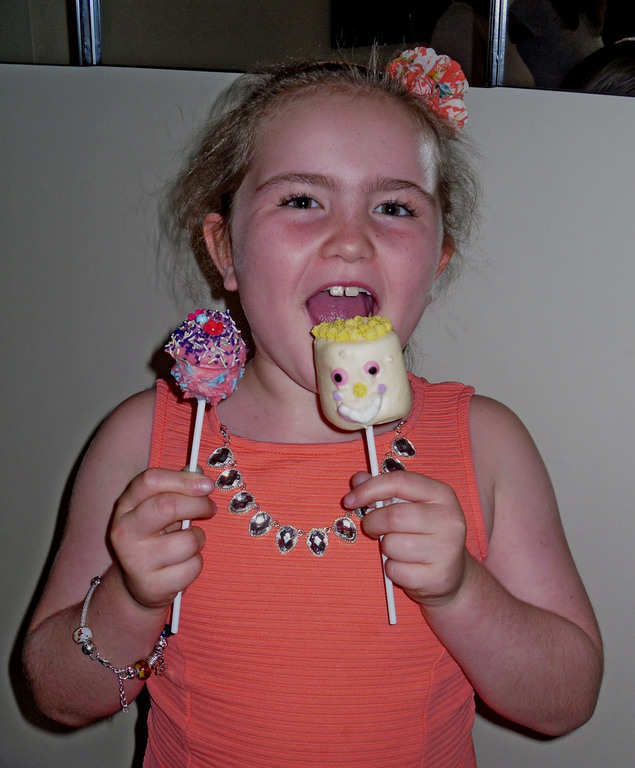 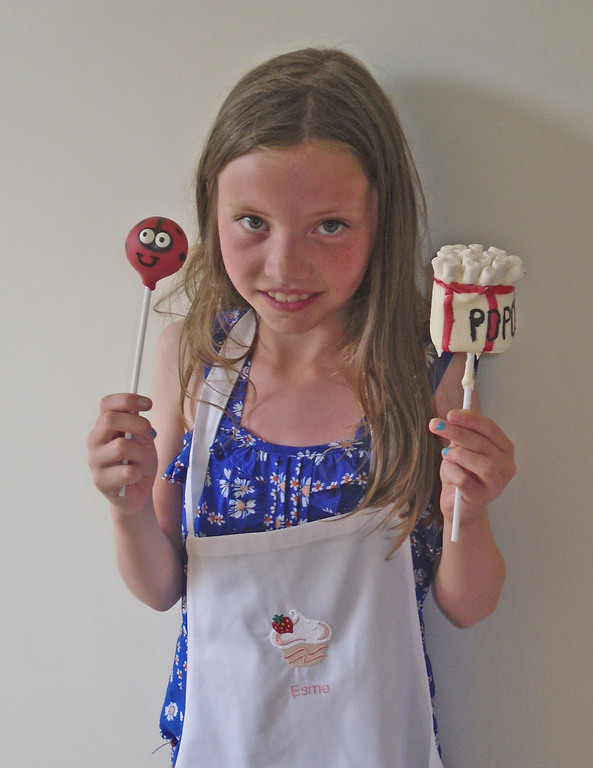 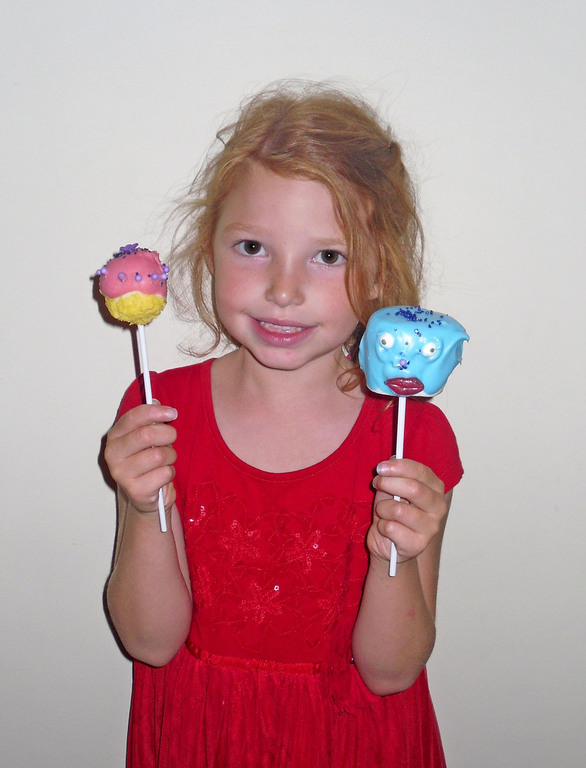 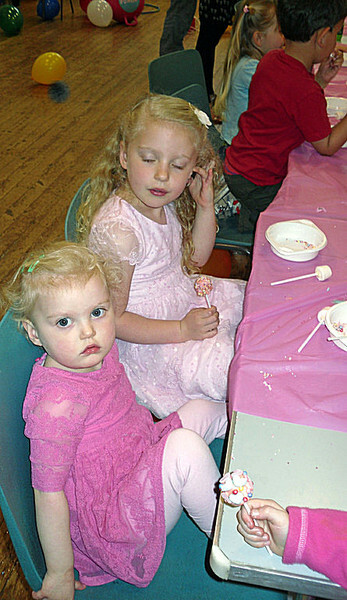 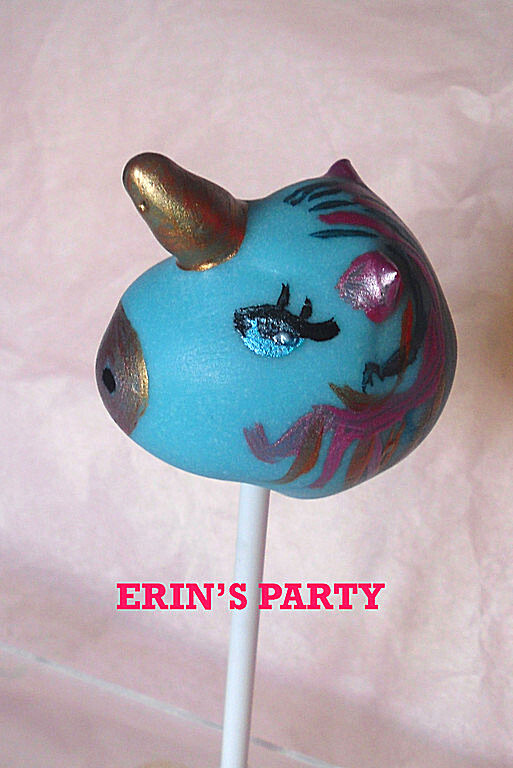 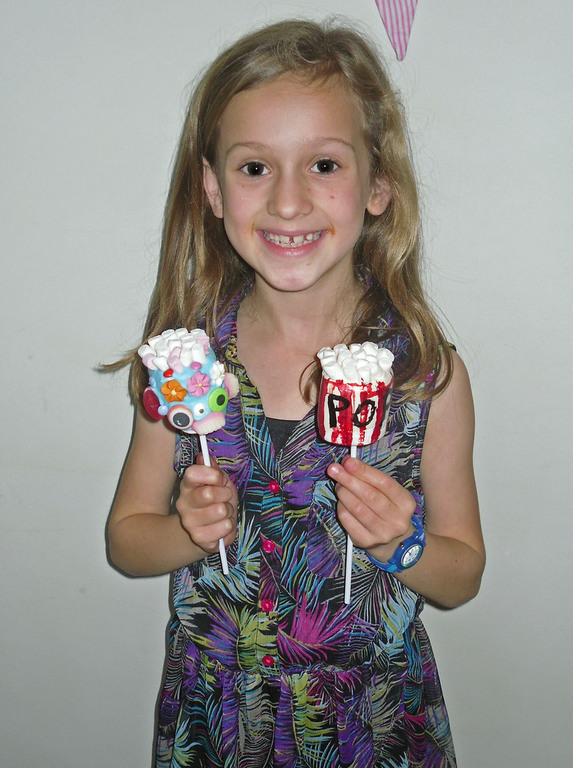 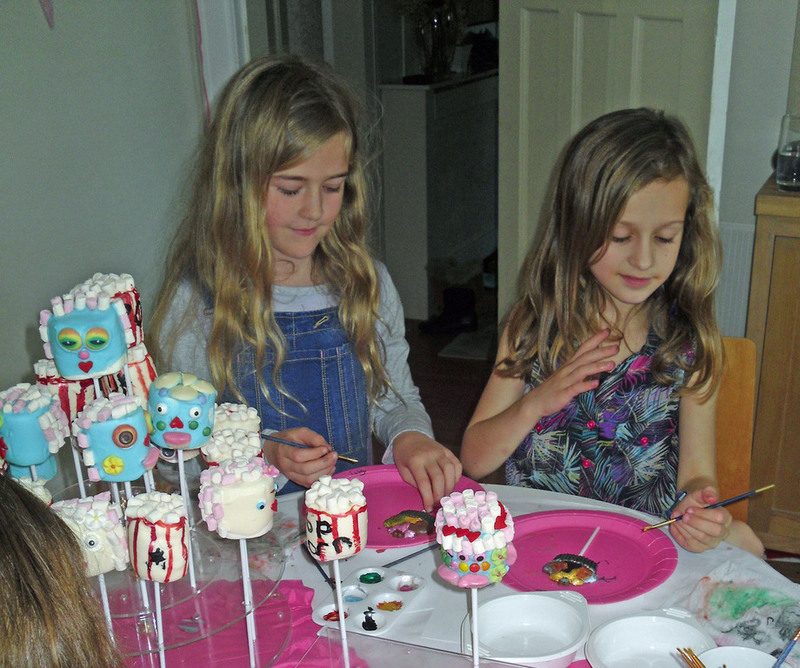 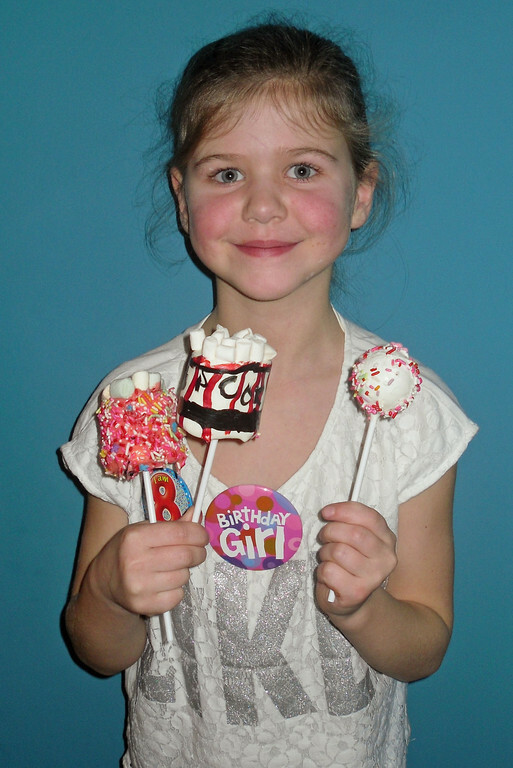 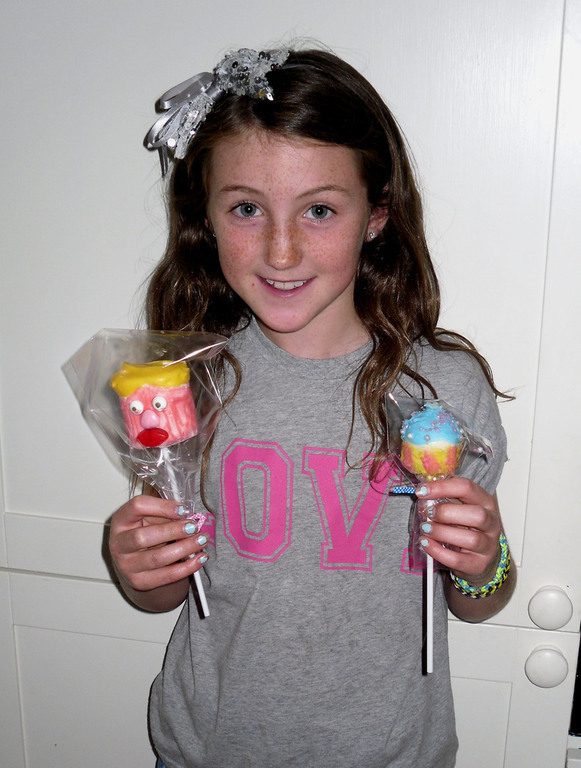 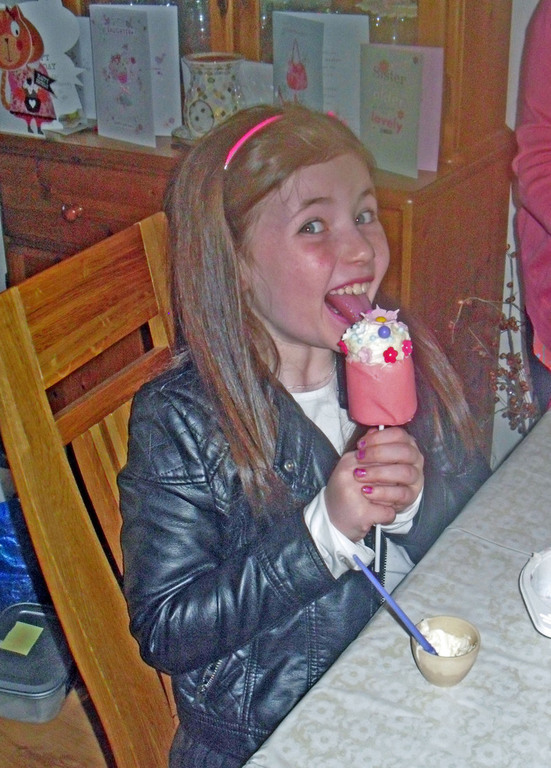 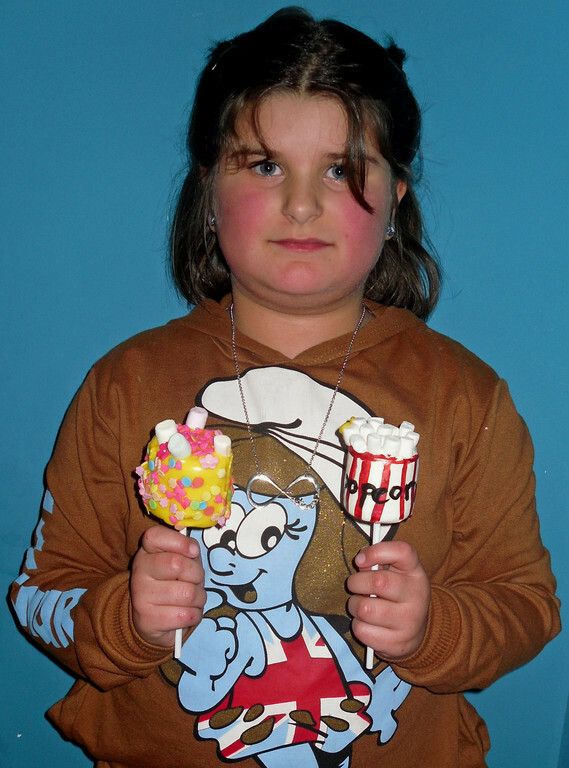 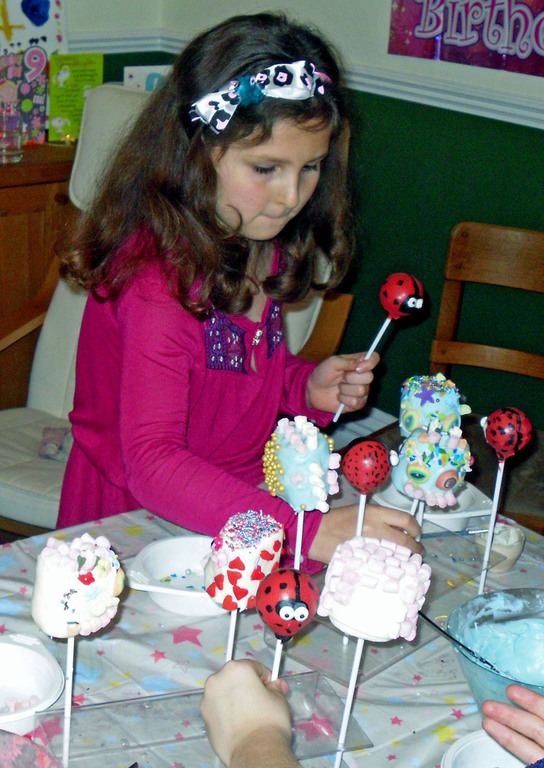 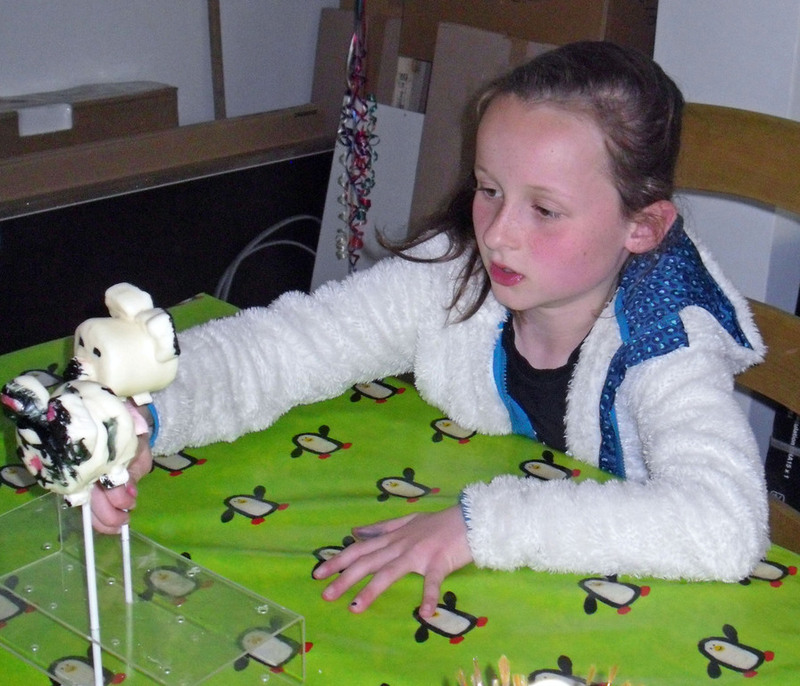 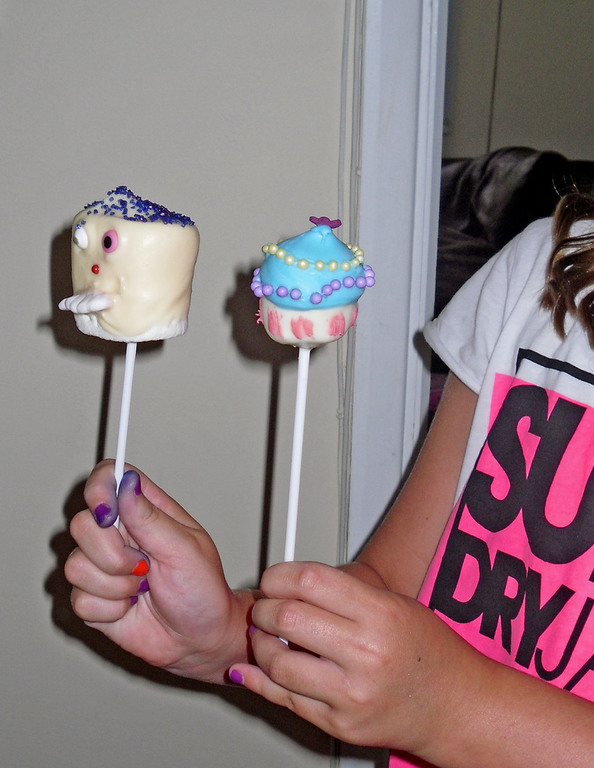 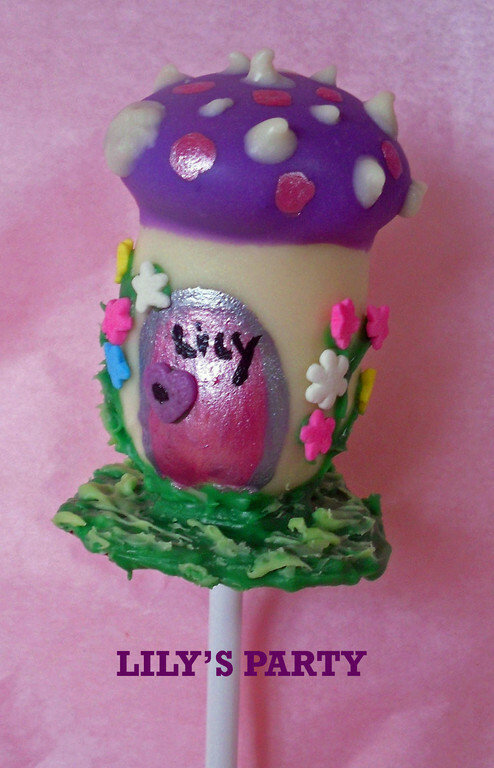 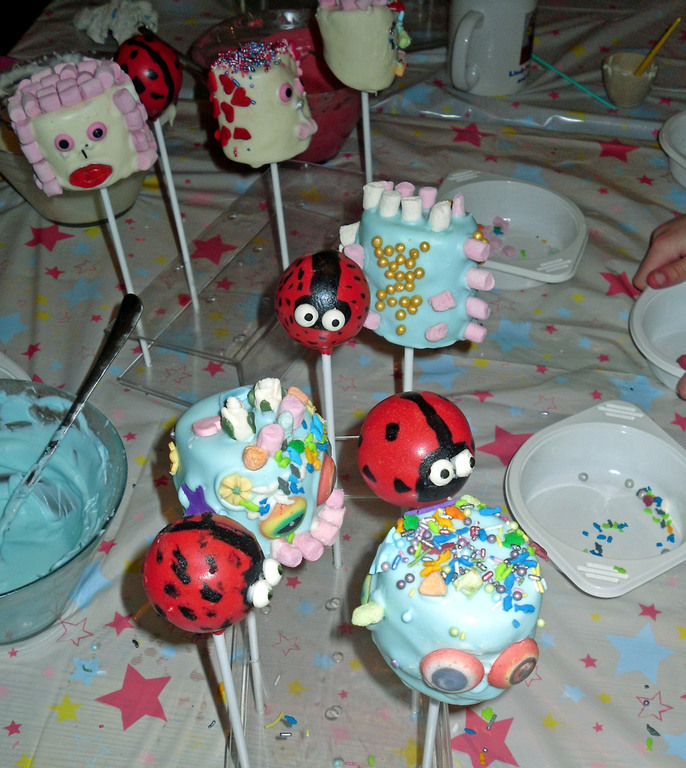 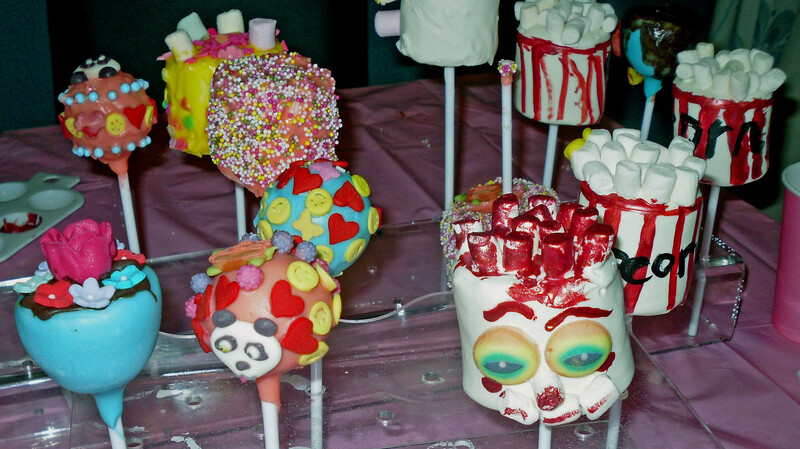 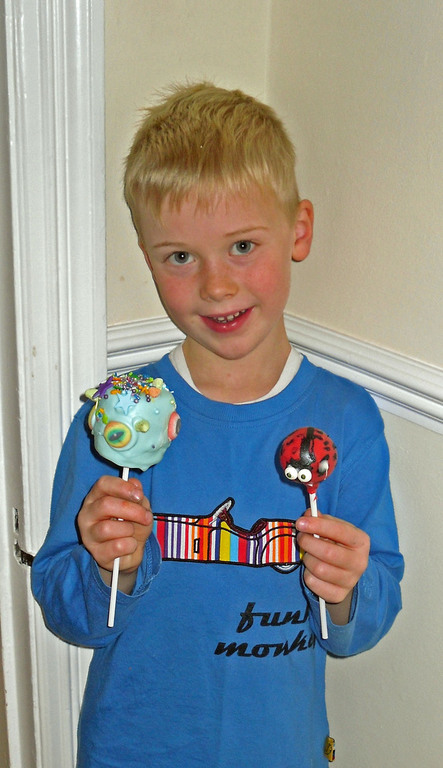 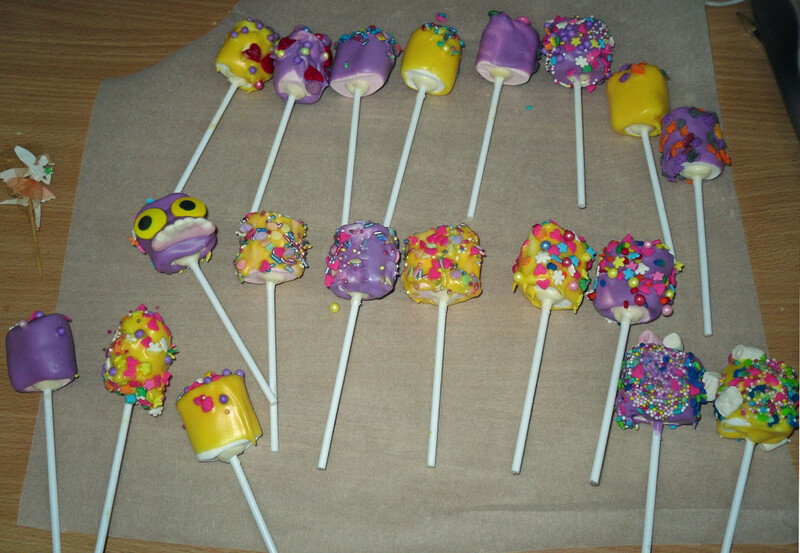 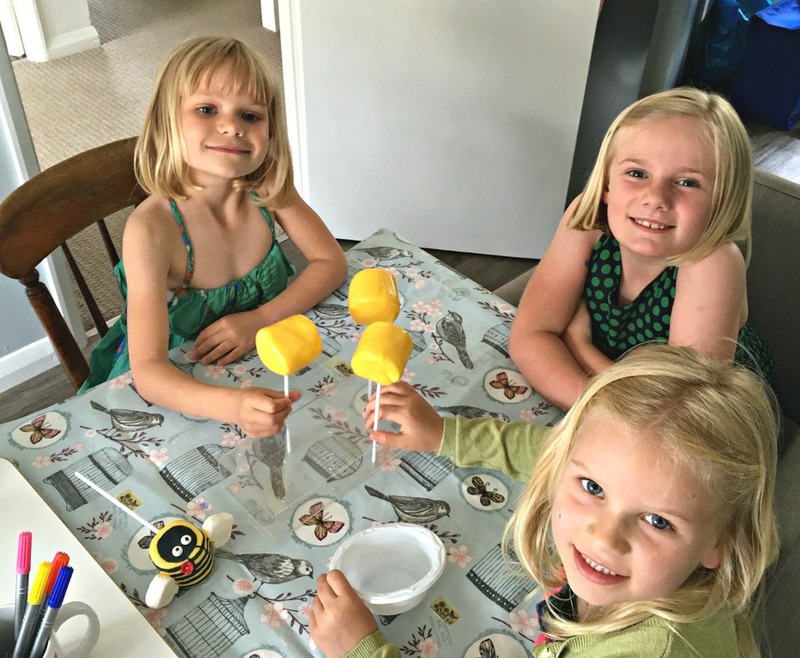 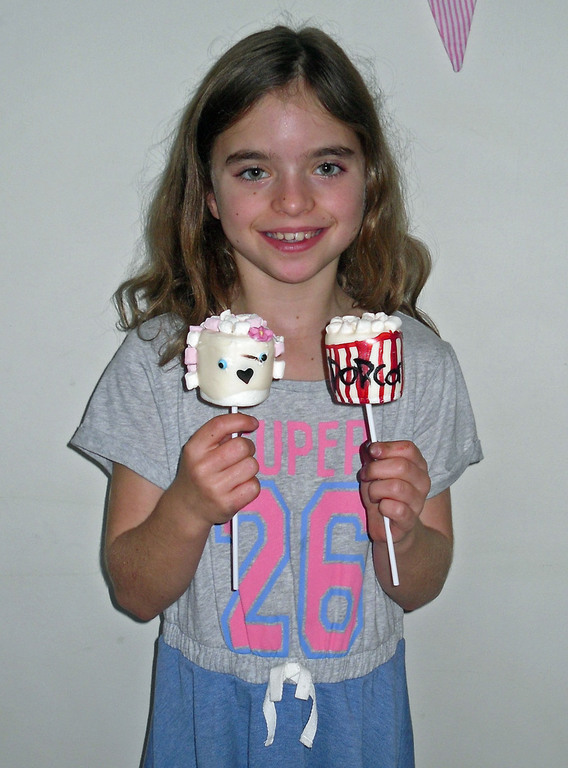 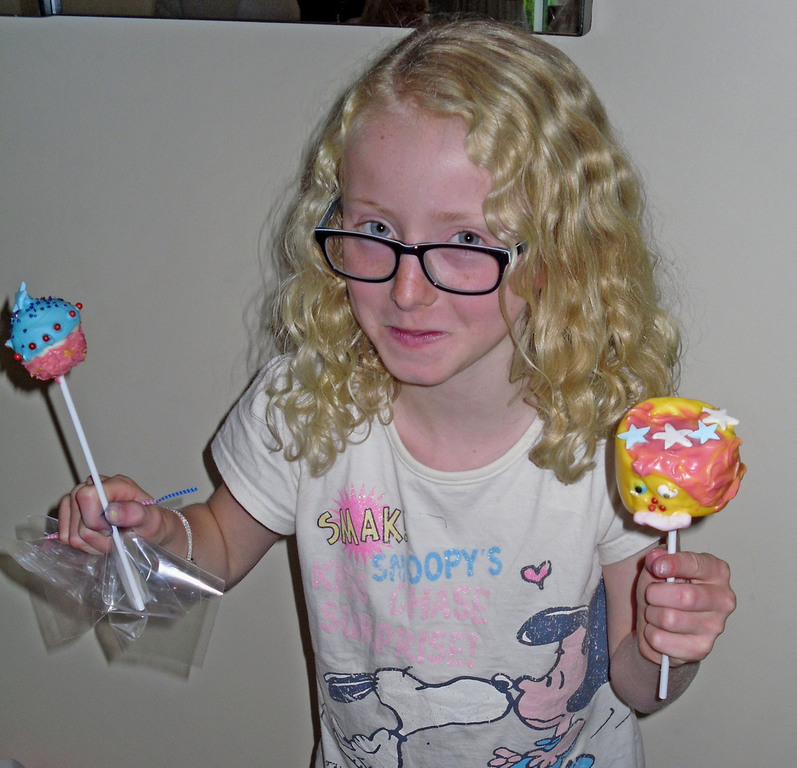 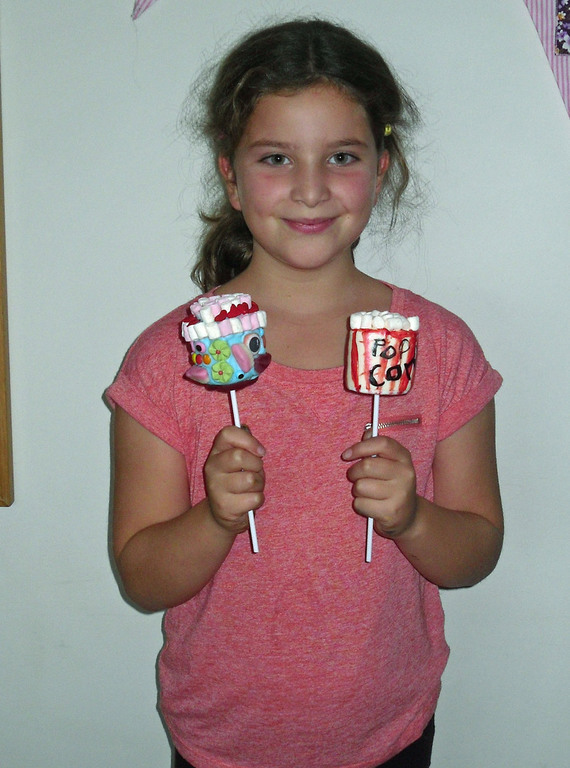 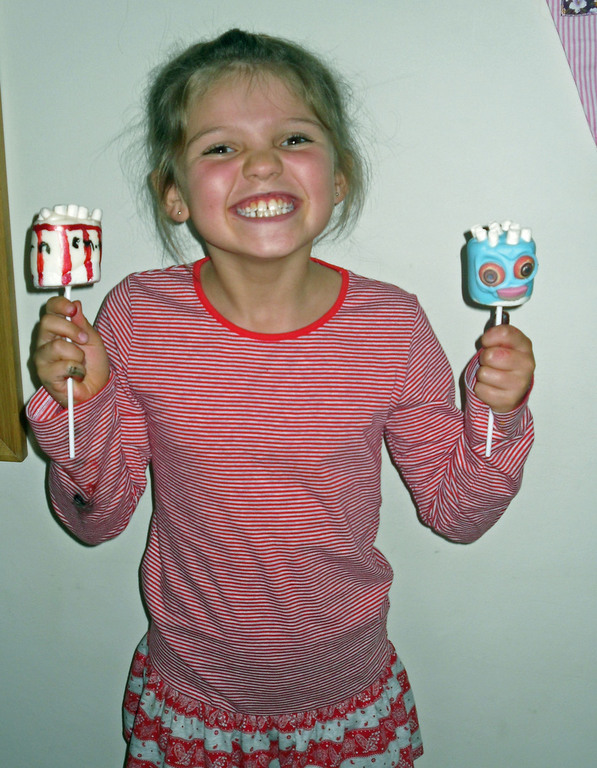 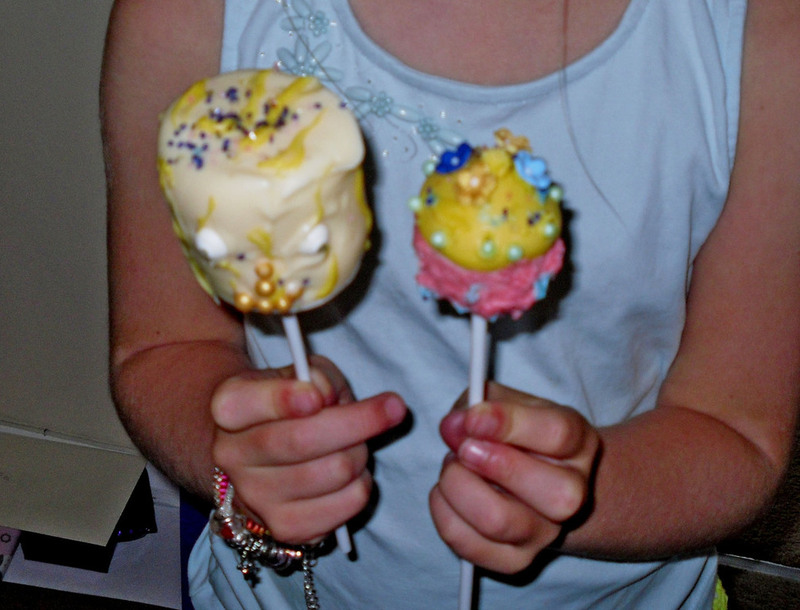 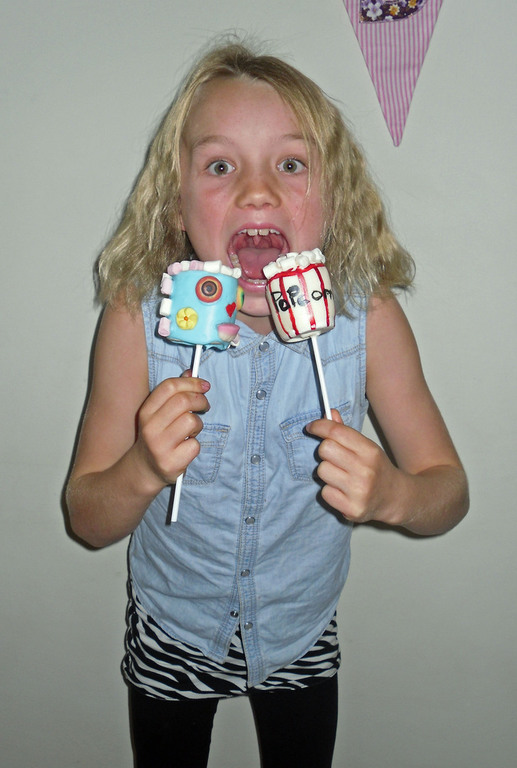 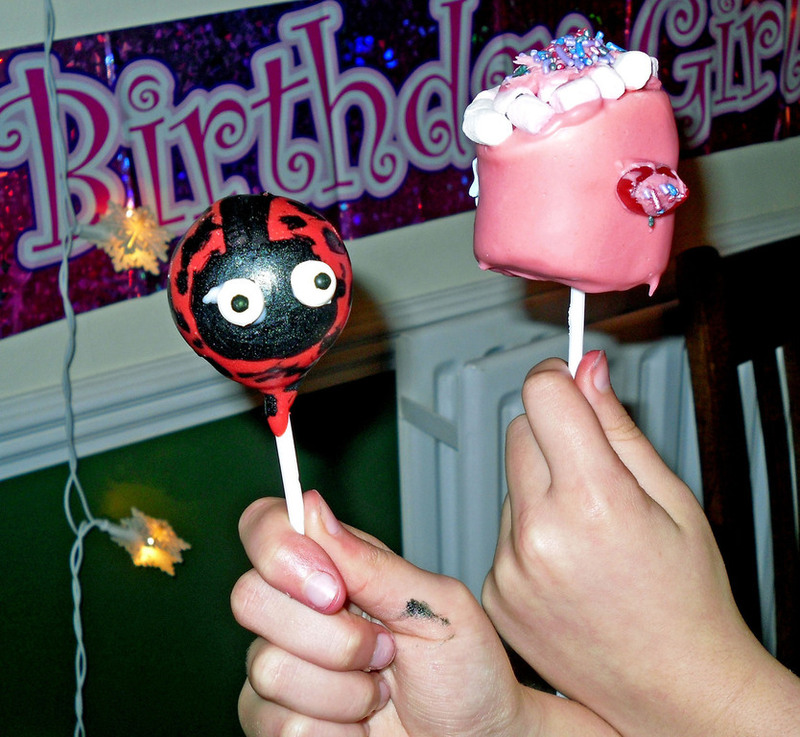 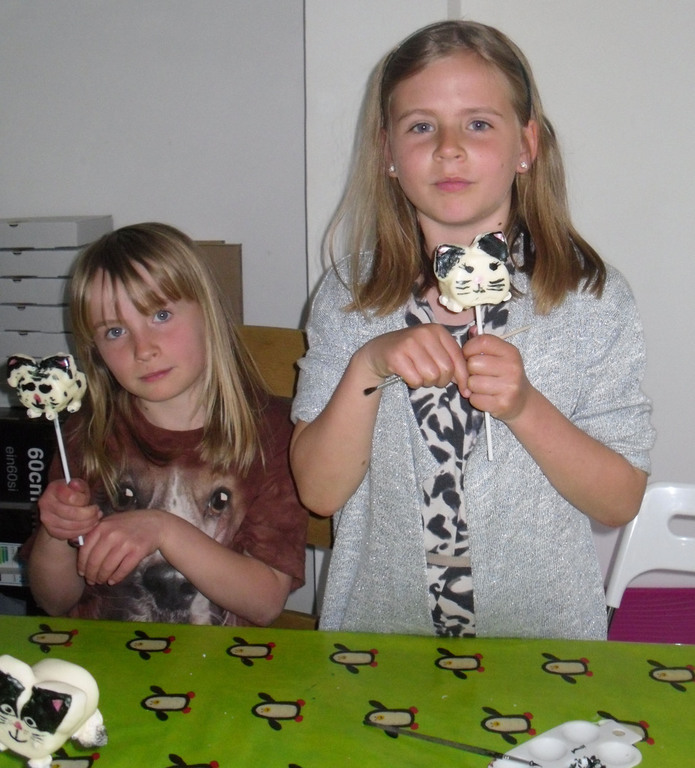 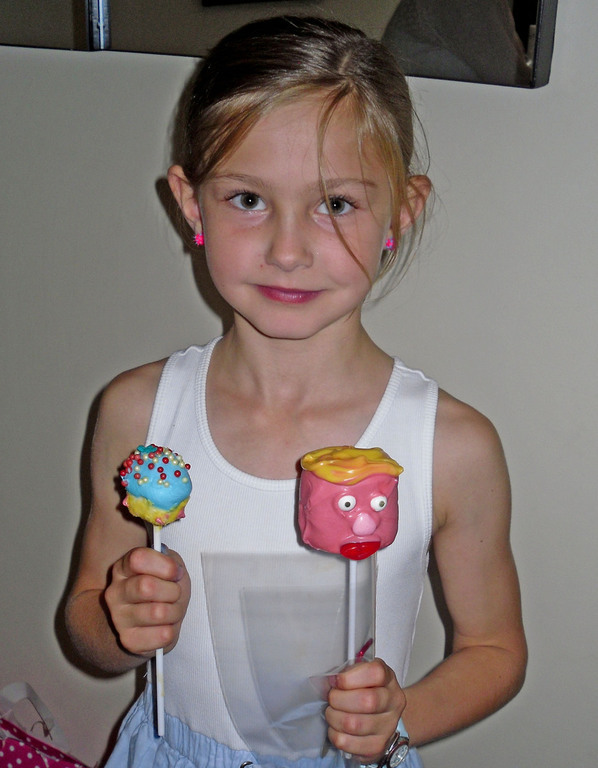 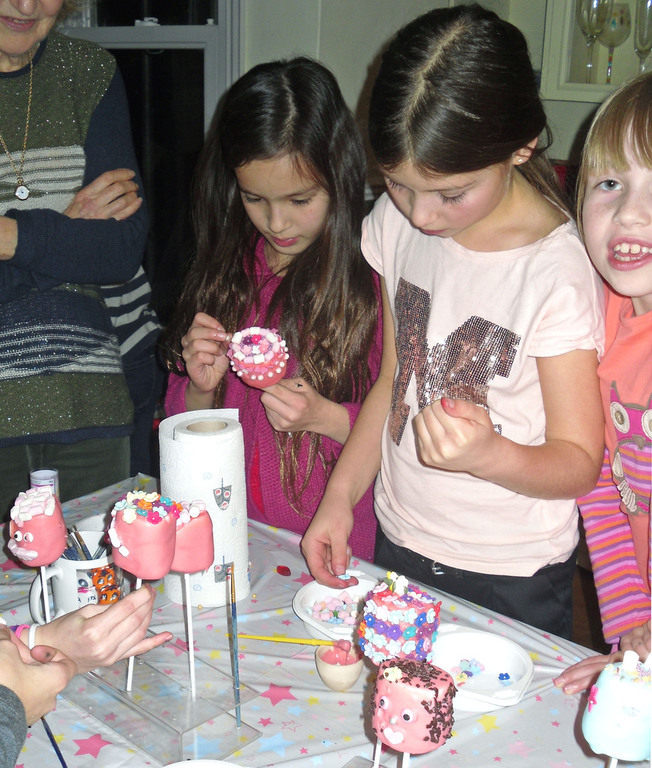 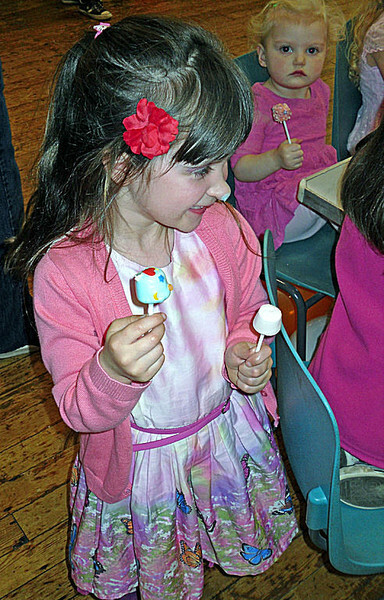 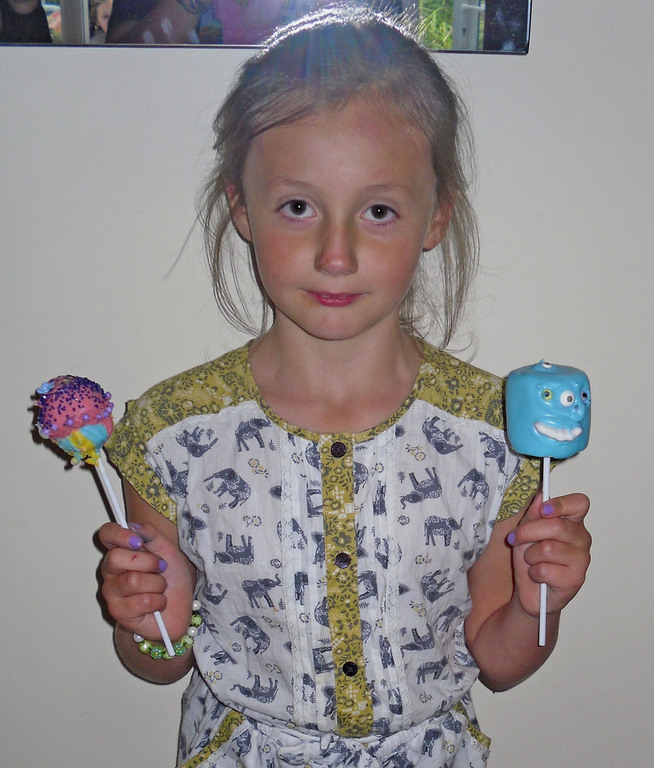 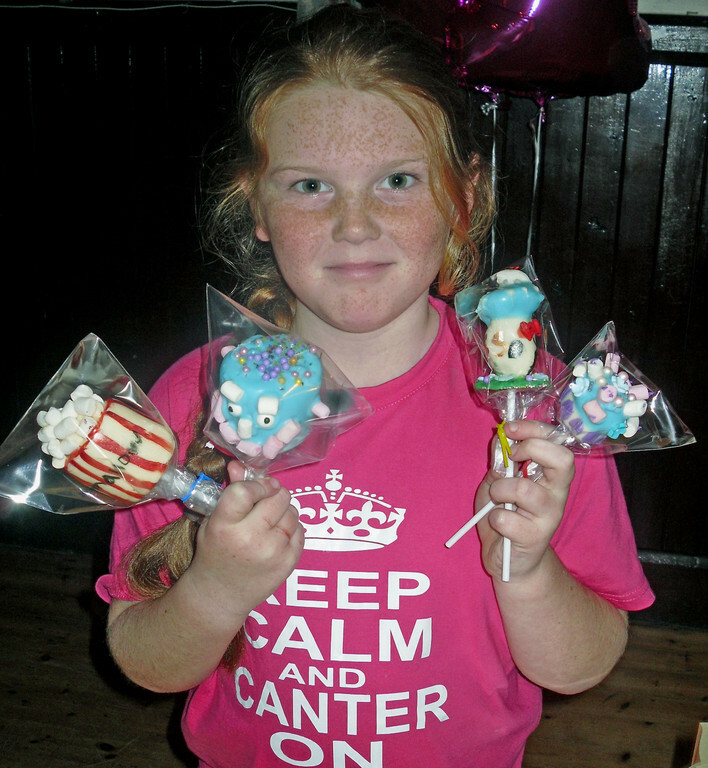 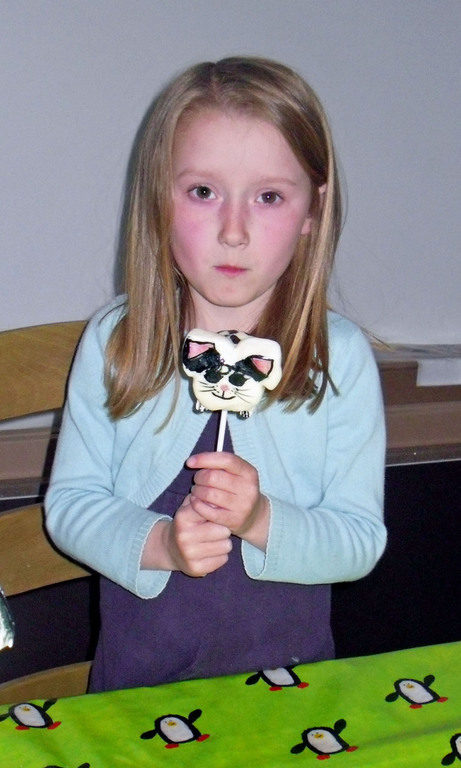 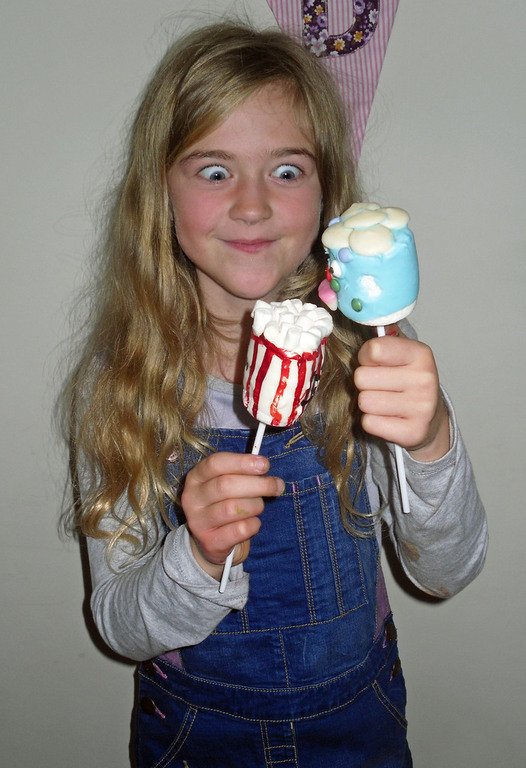 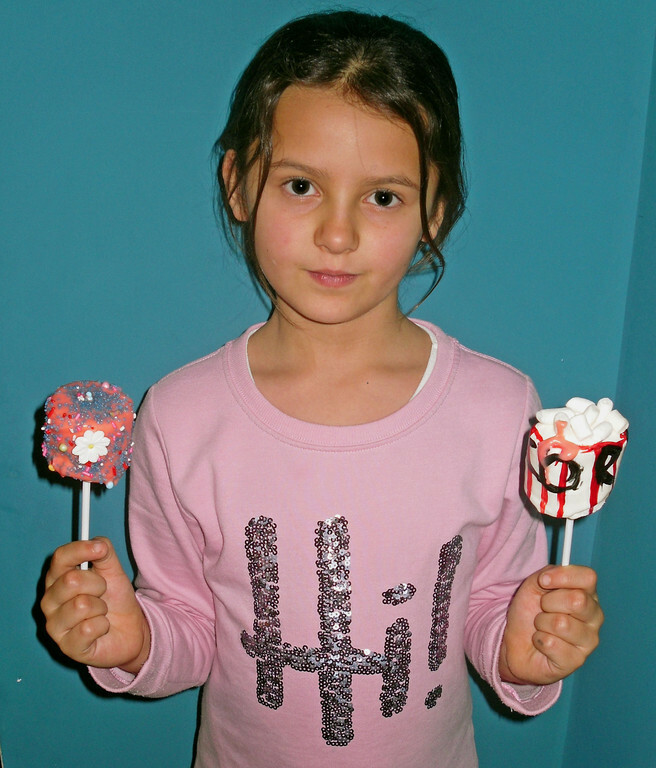 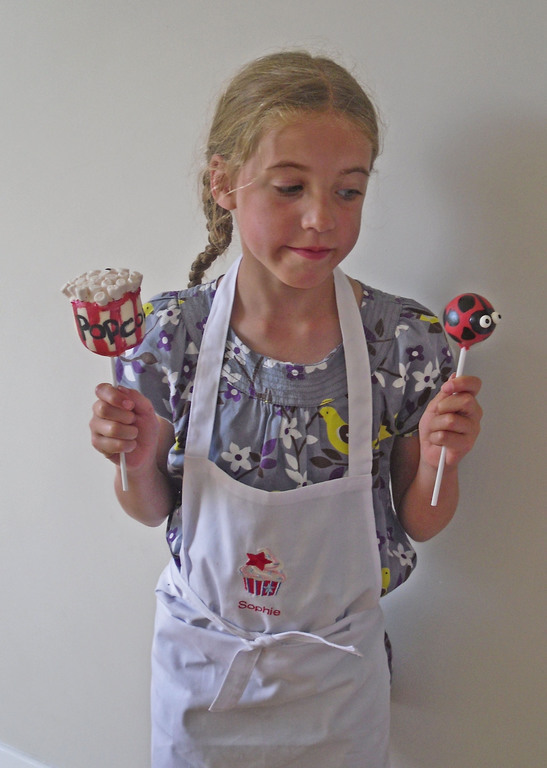 LindyPop Parties are fun little balls of cake which can be made into a multitude of fun treats. 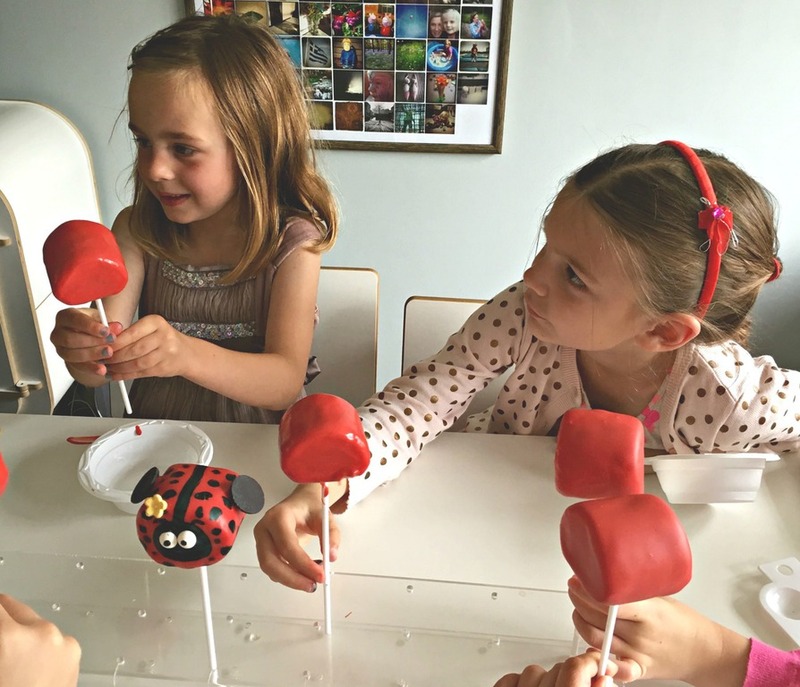 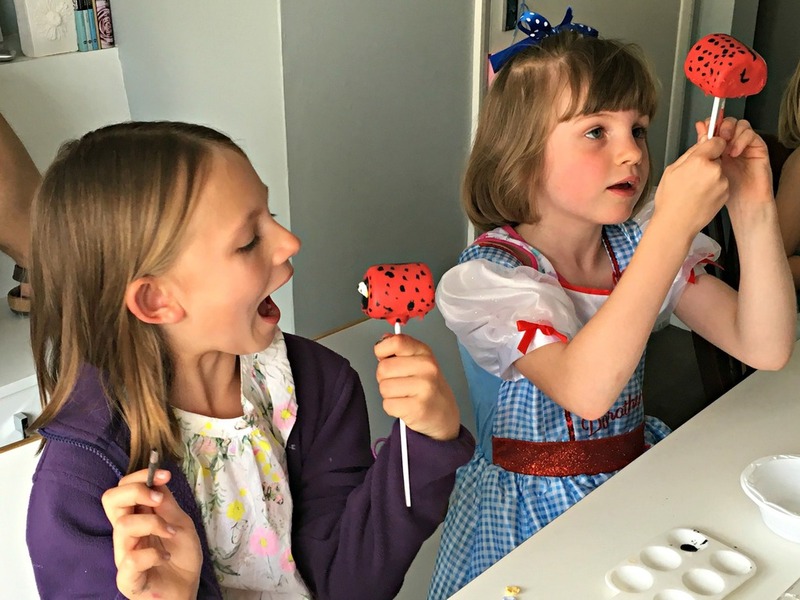 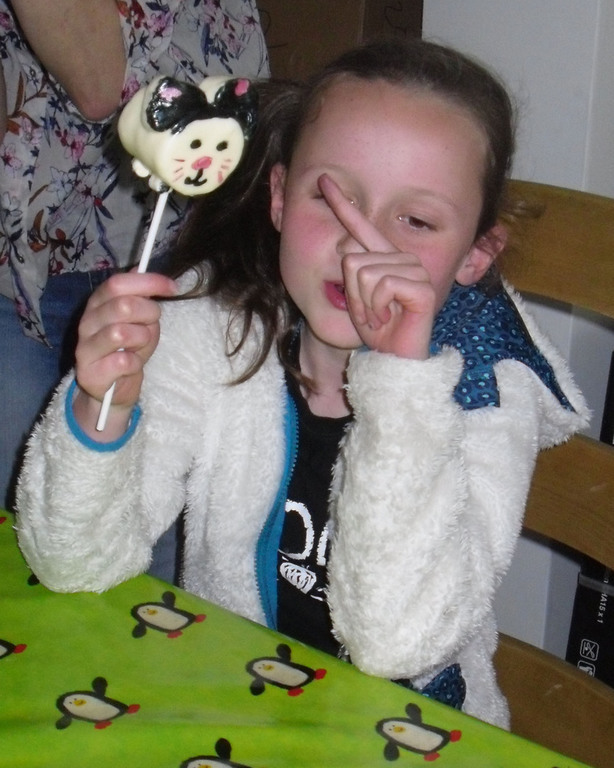 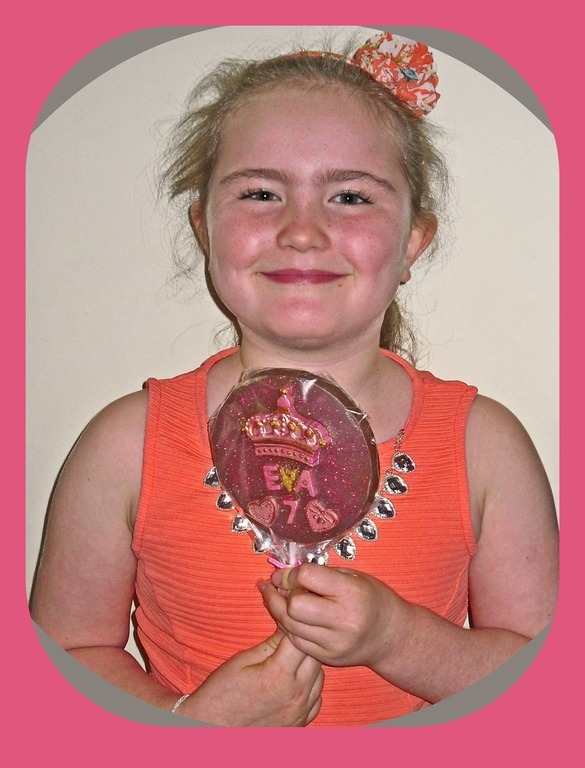 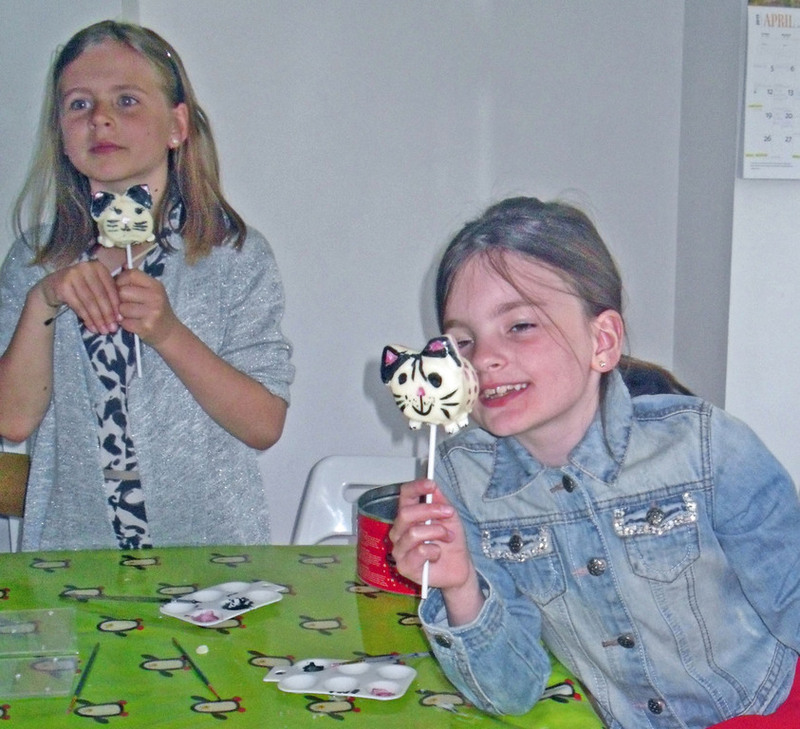 LindyChoc parties offer the chance to decorate and create your very own range of chocolate shapes - unlike any you will ever see in the shops! 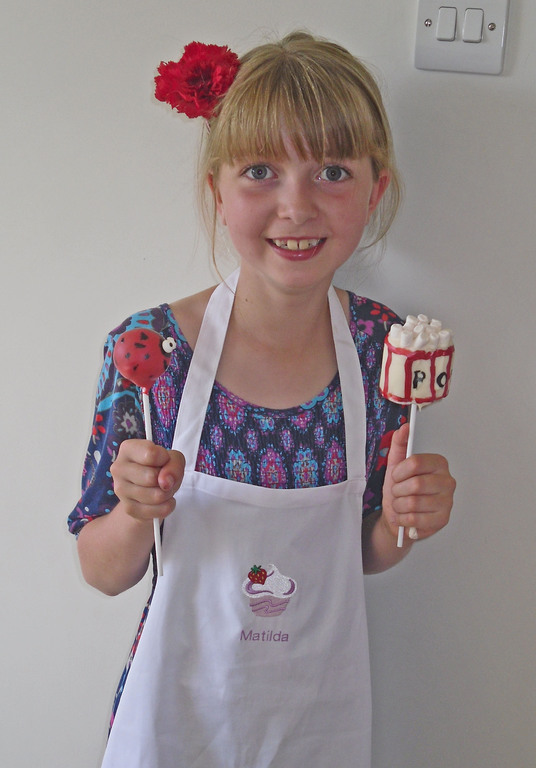 SO WHAT ABOUT MARSHMALLOWS...., my last but not least favourite? 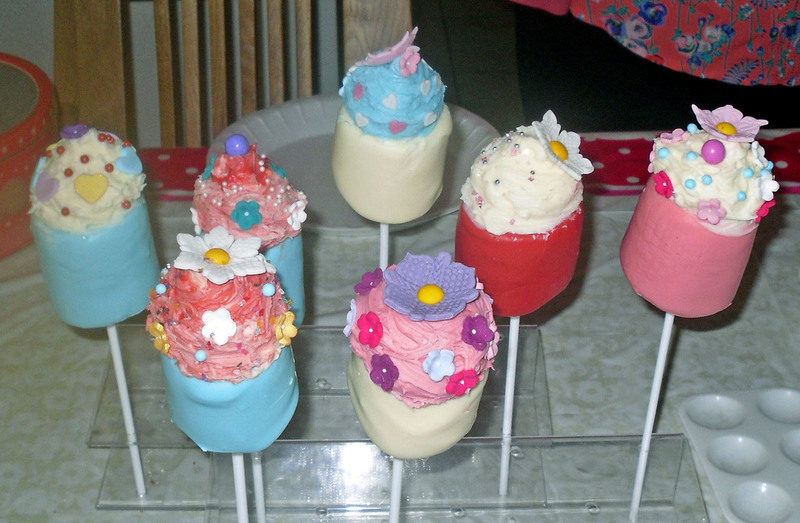 I've only just begun to discover the fun items you can make with these soft, springy goodies. 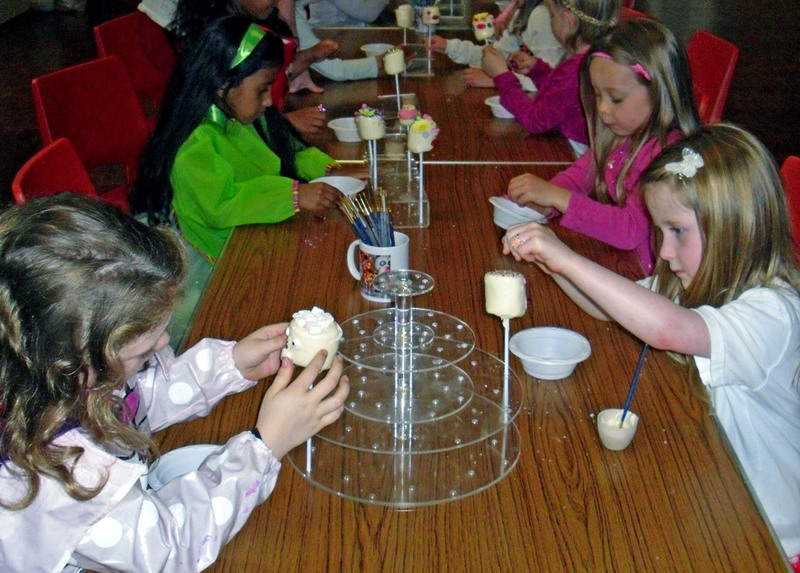 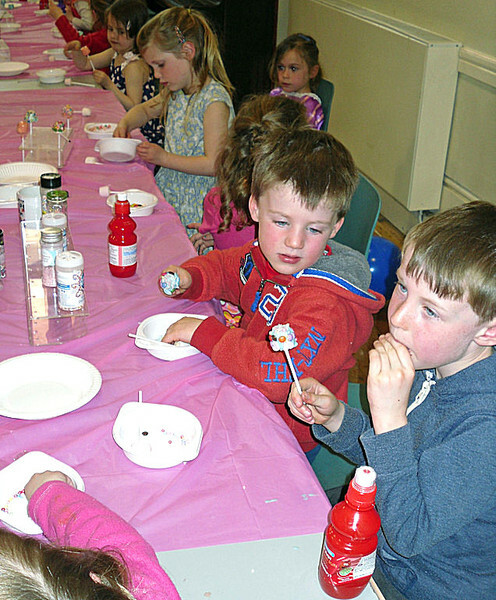 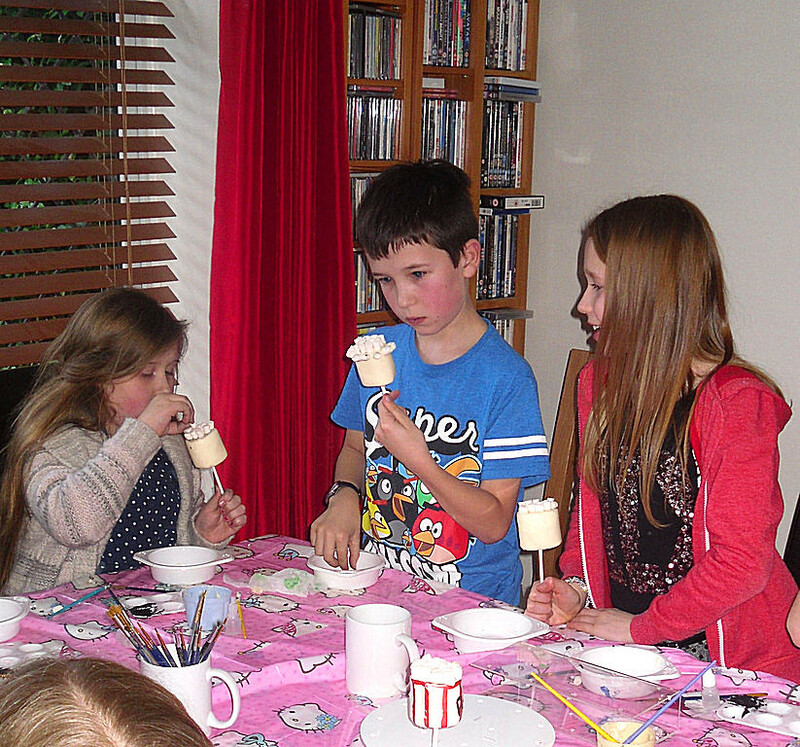 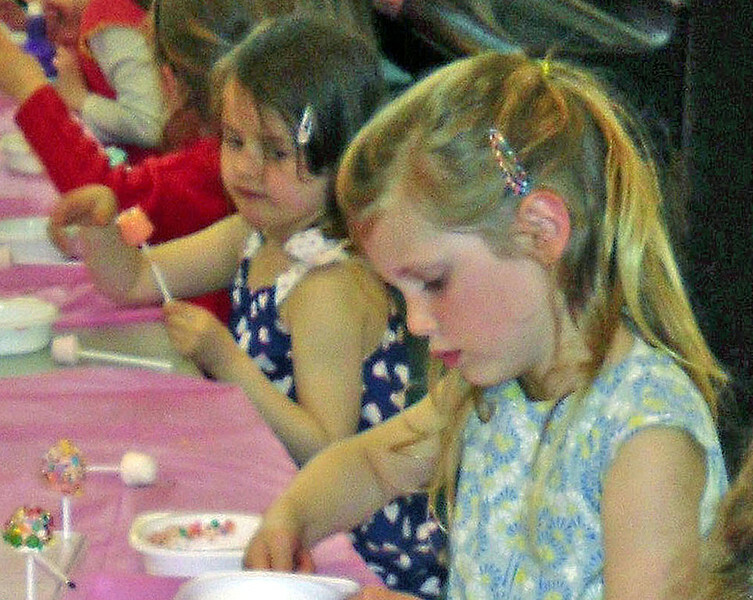 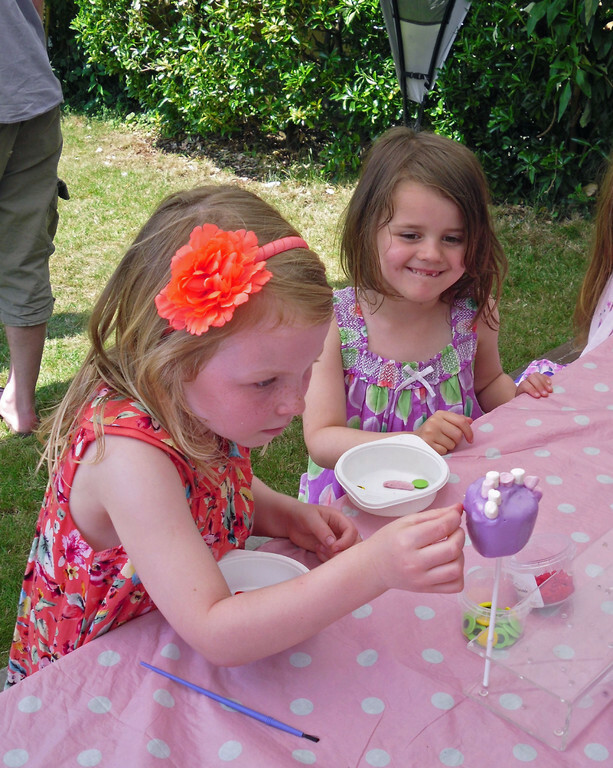 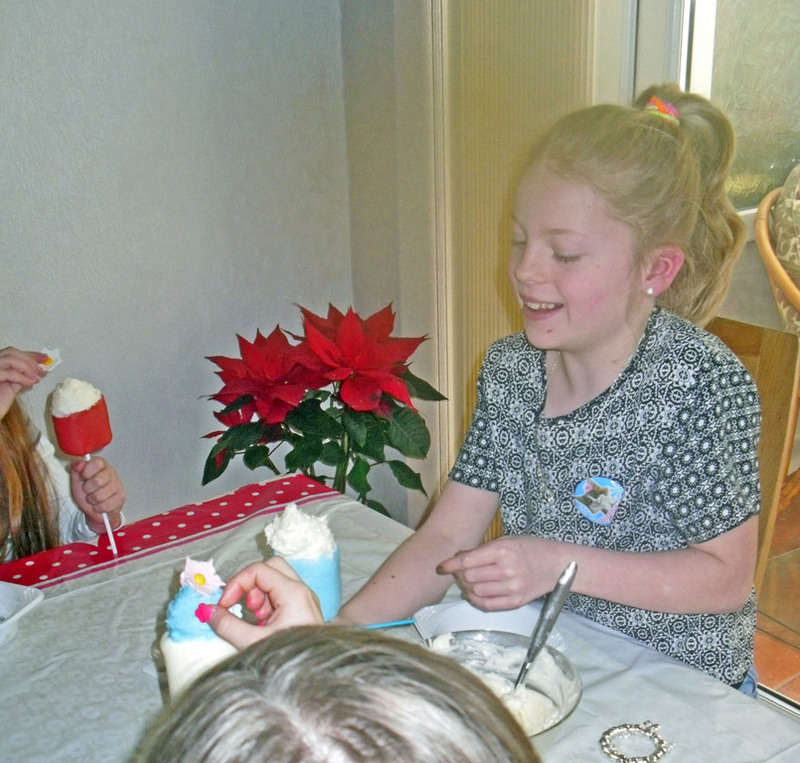 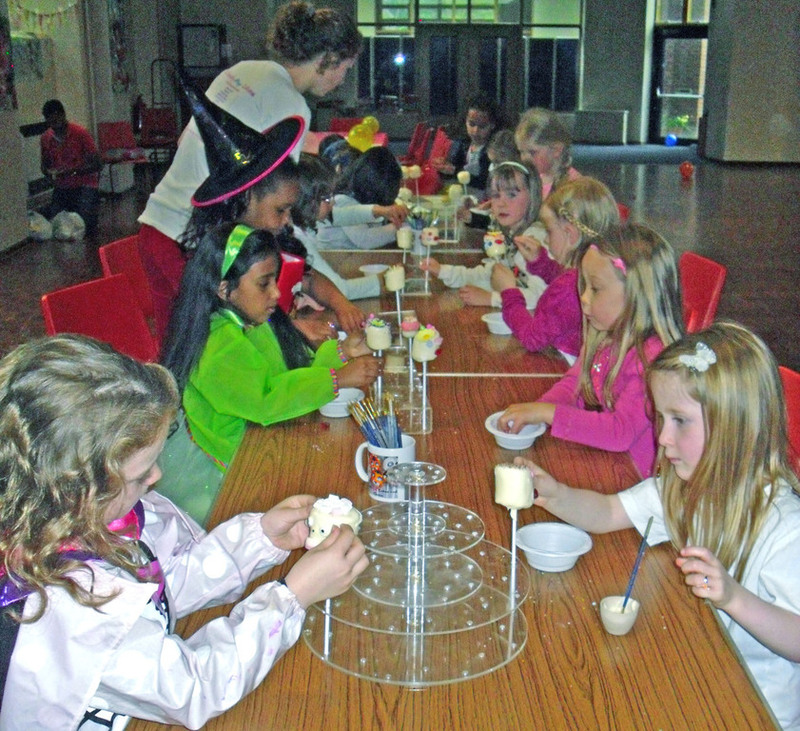 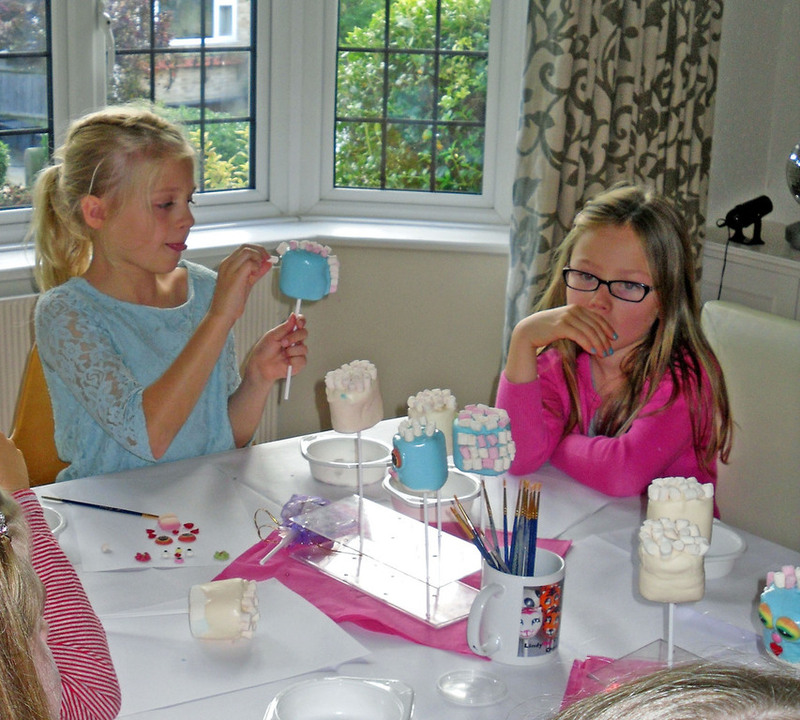 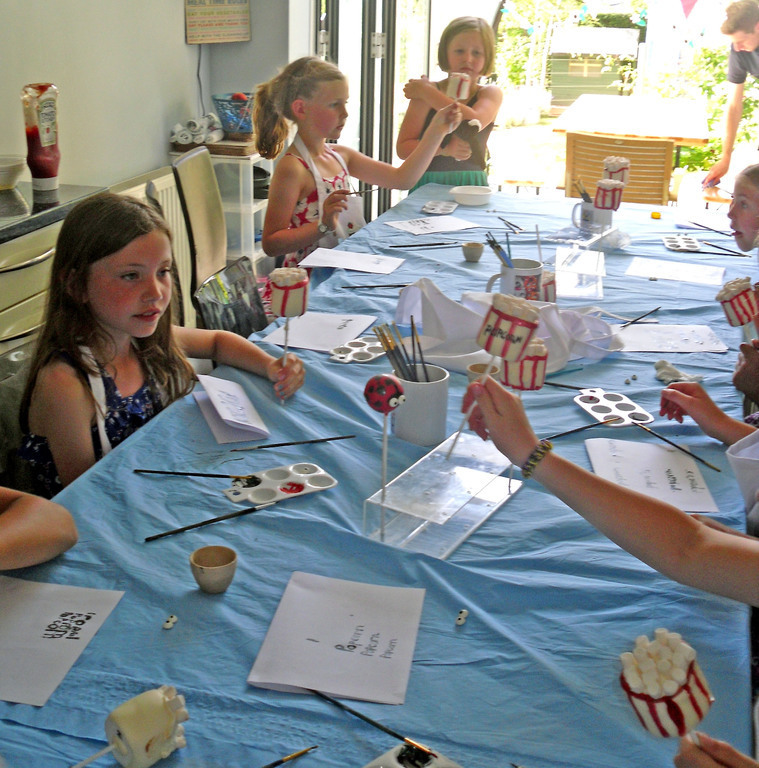 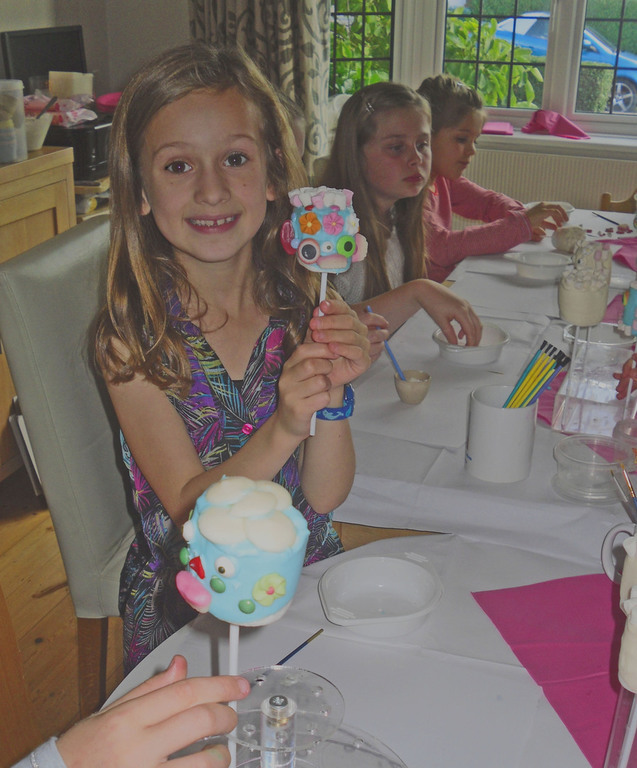 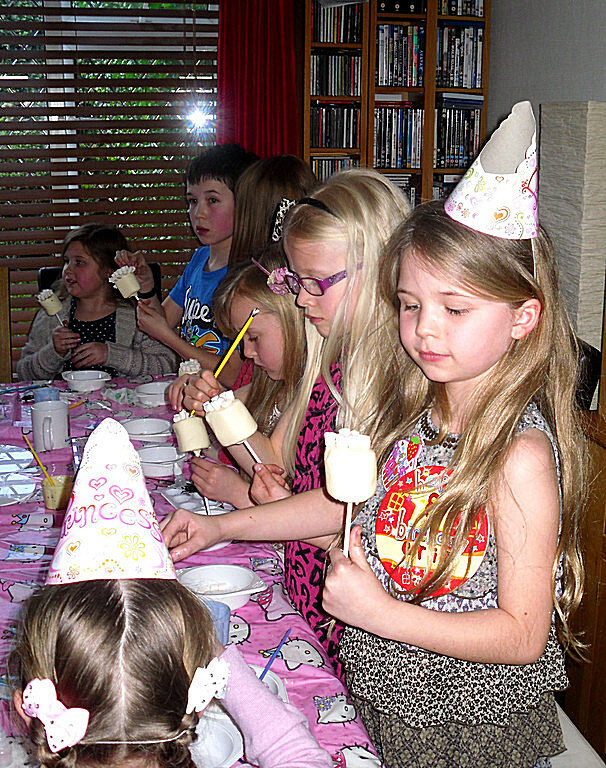 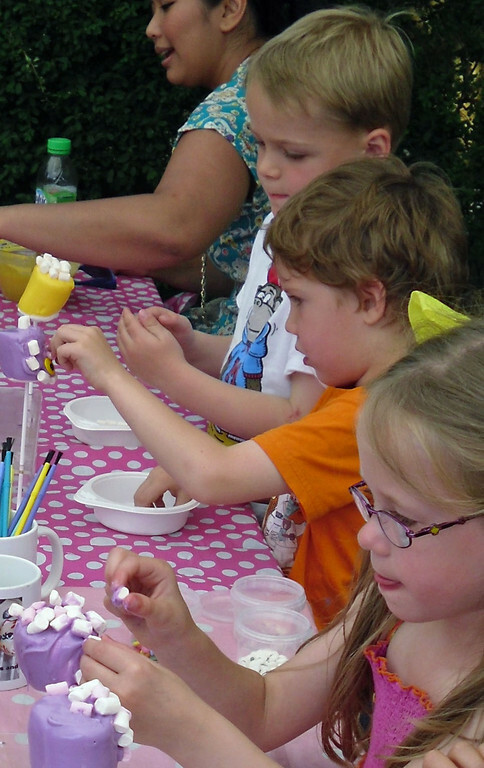 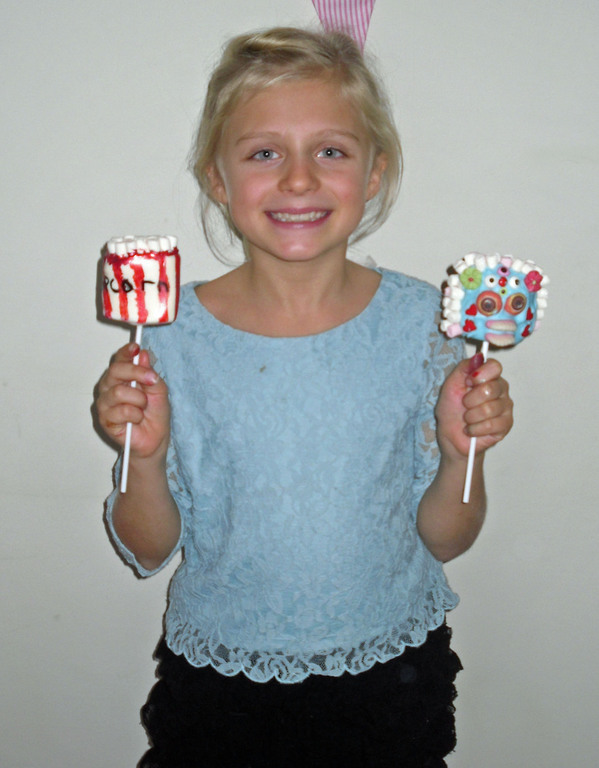 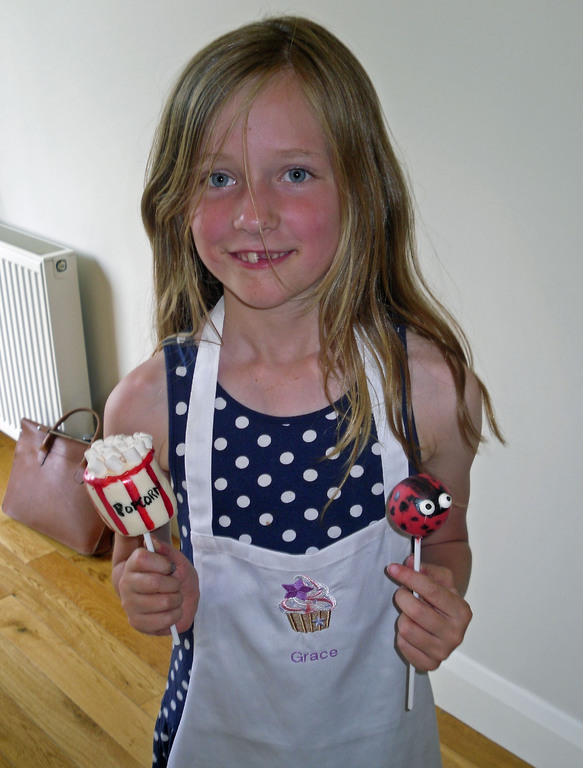 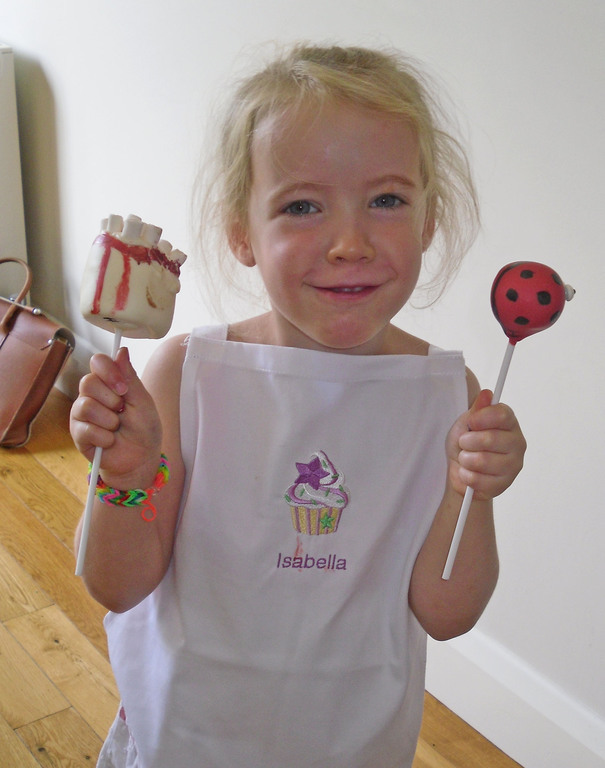 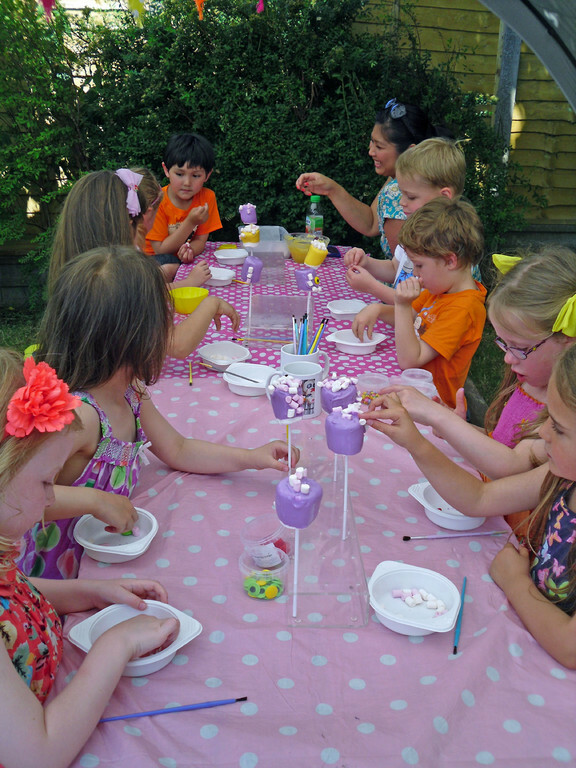 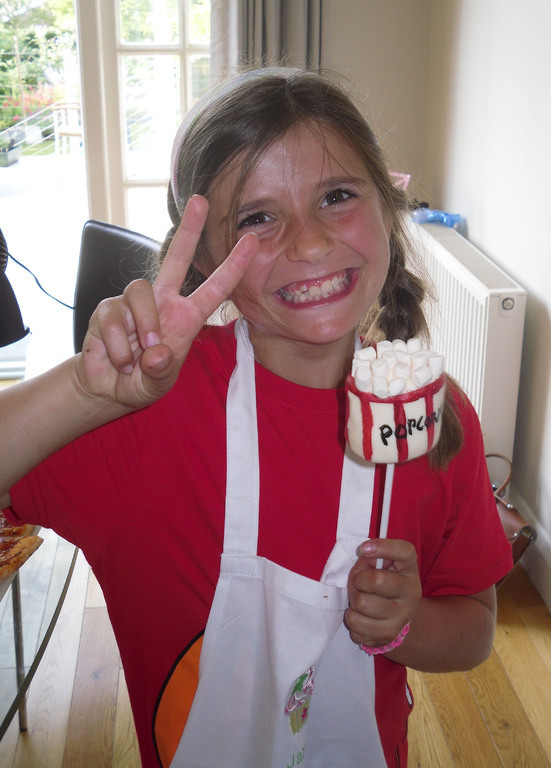 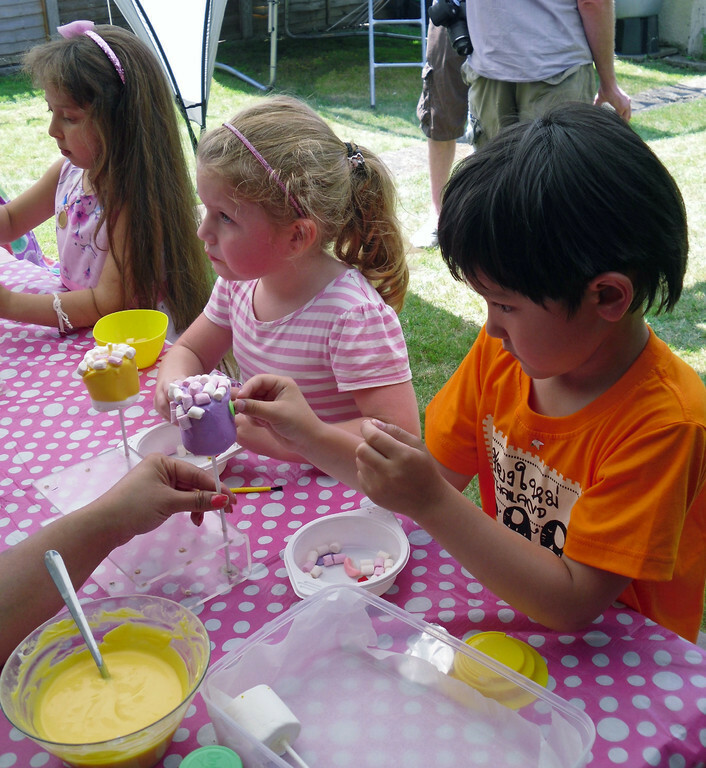 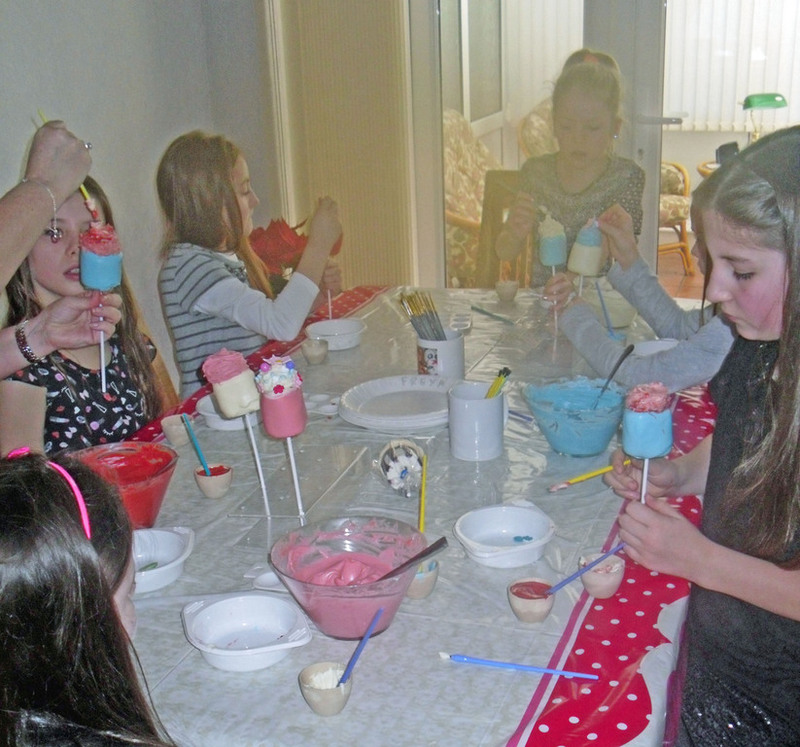 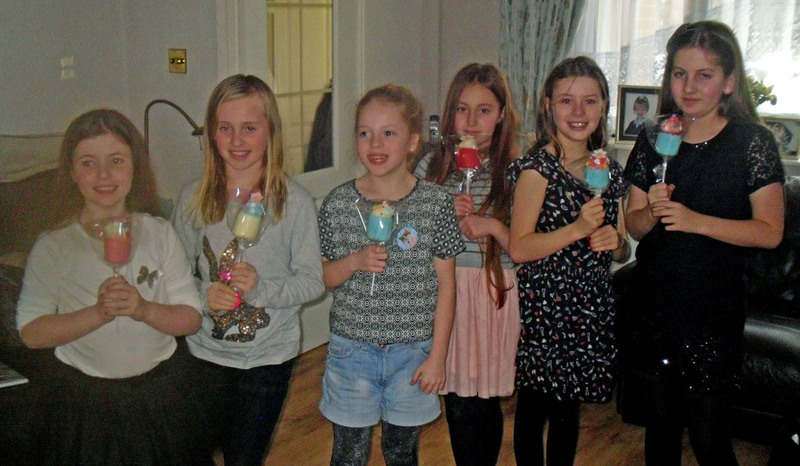 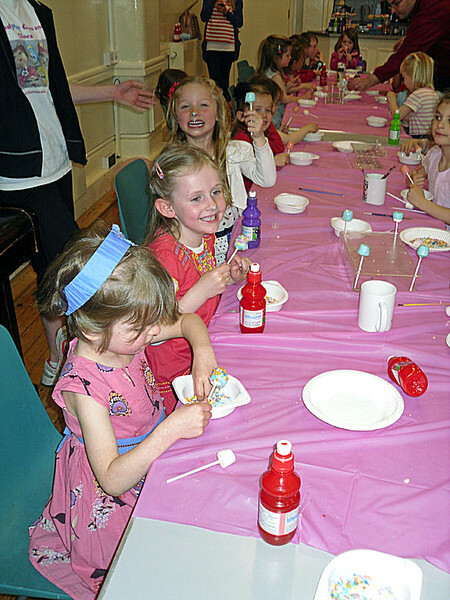 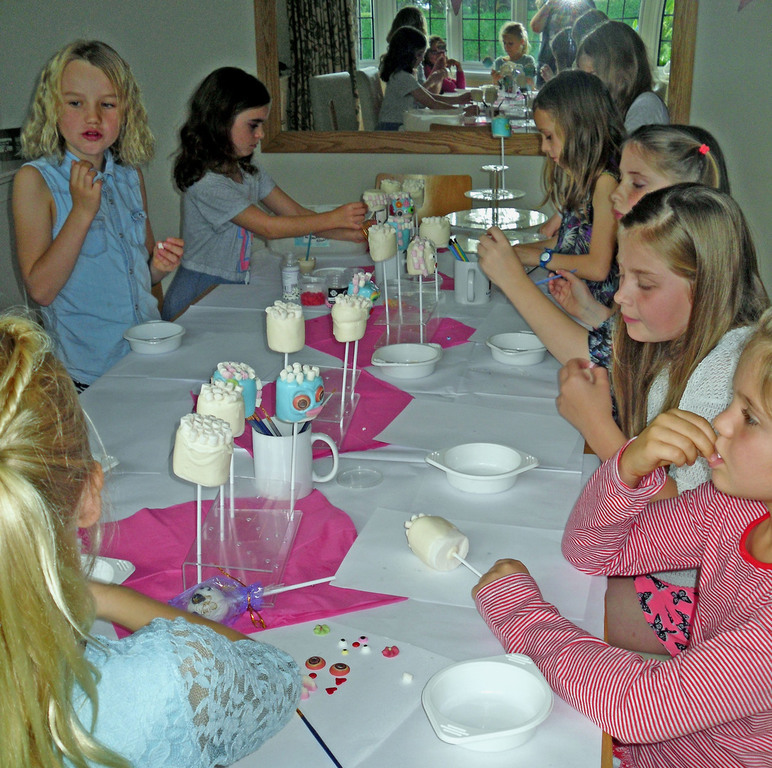 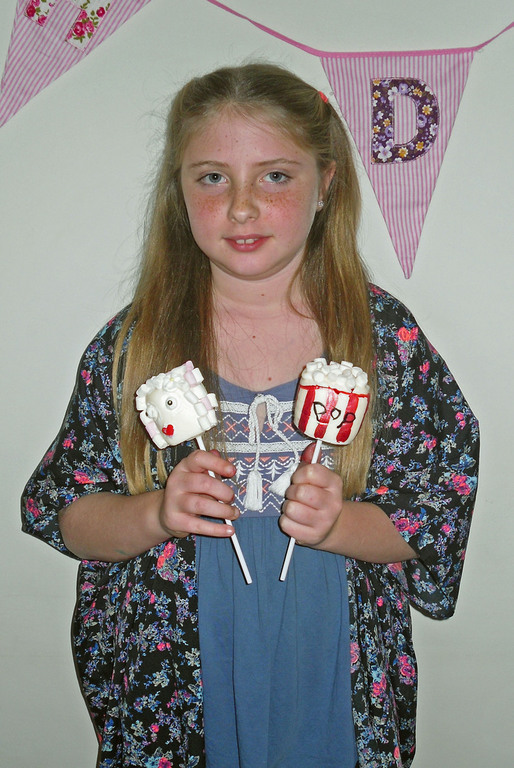 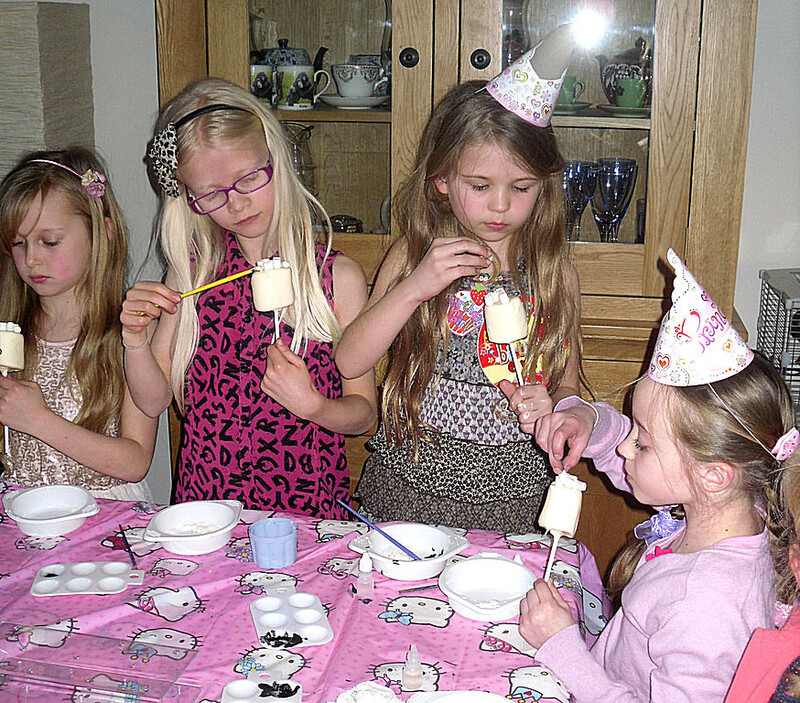 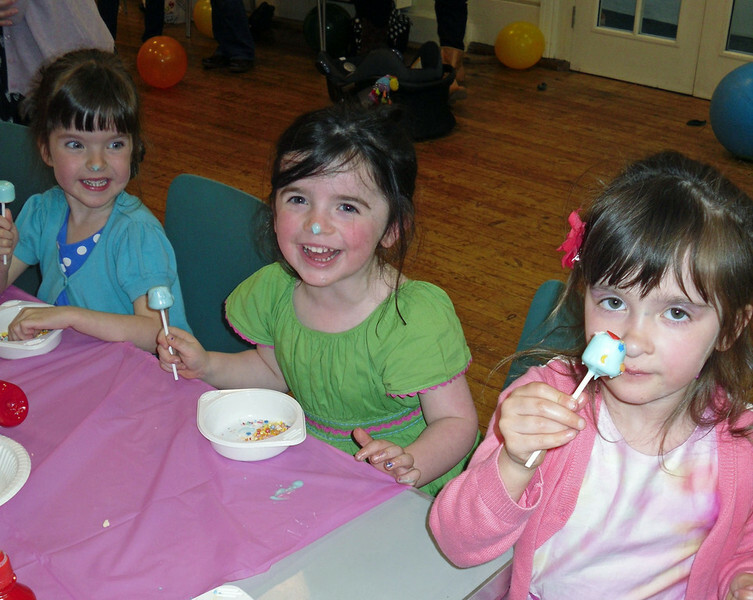 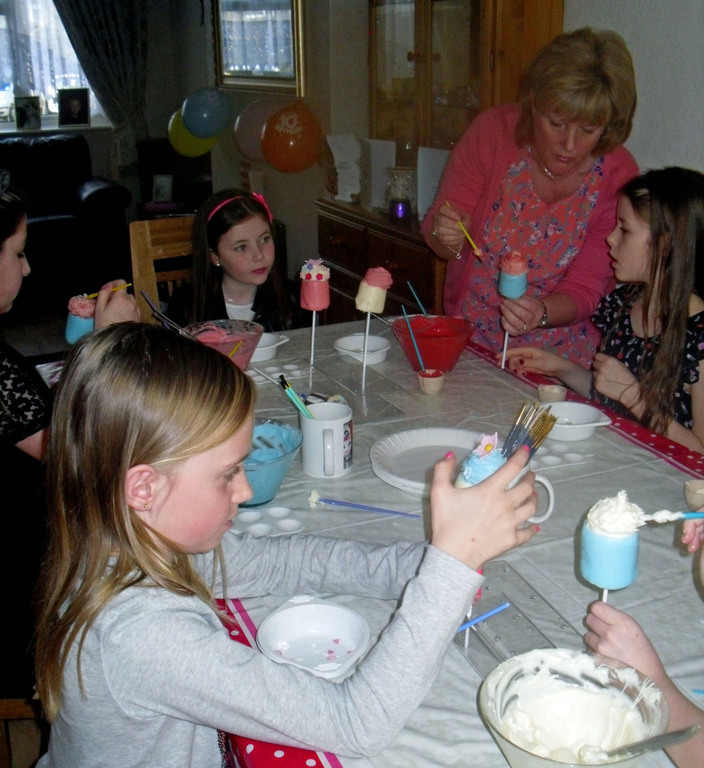 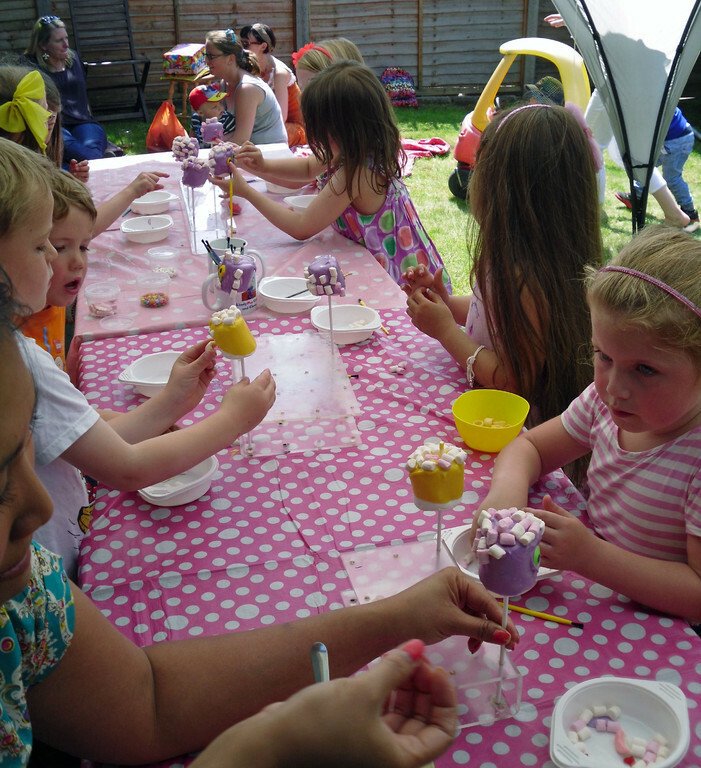 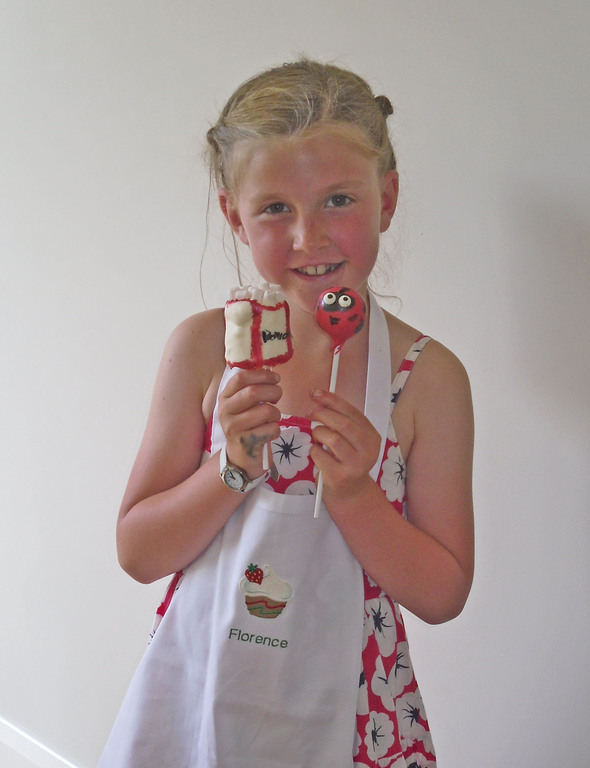 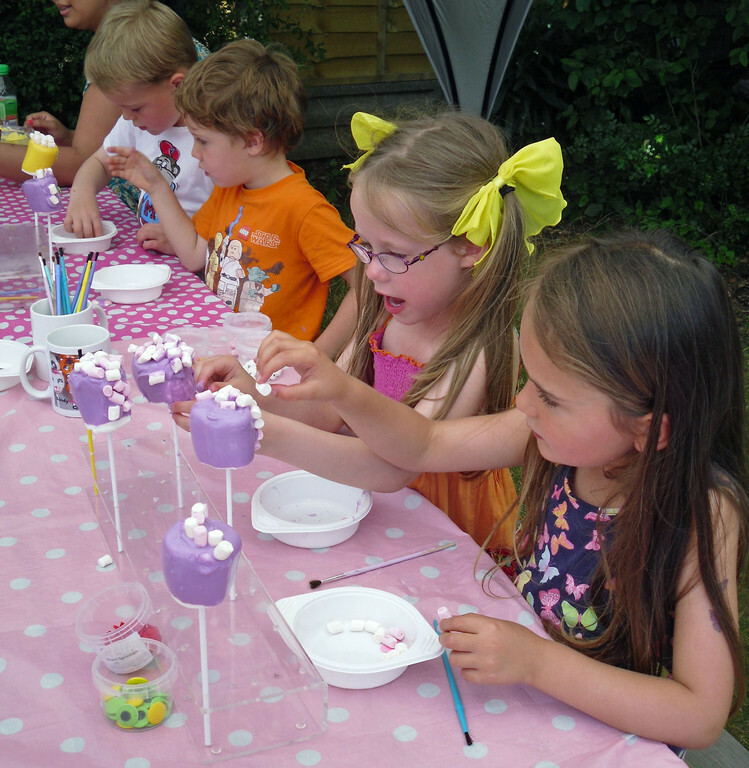 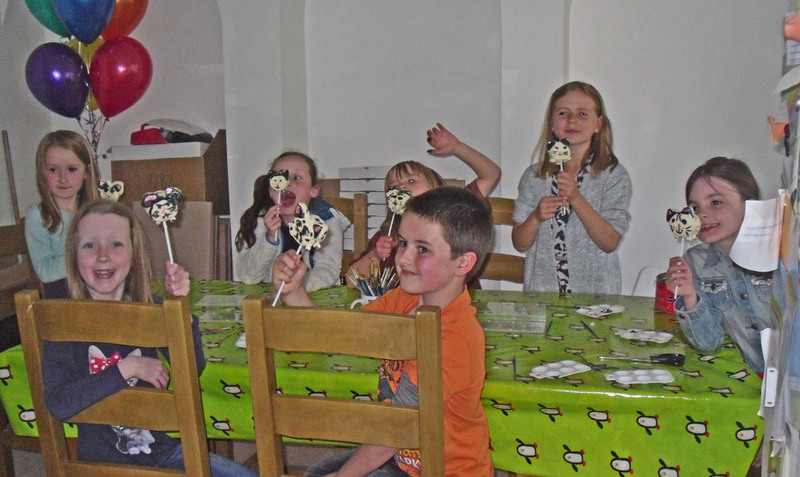 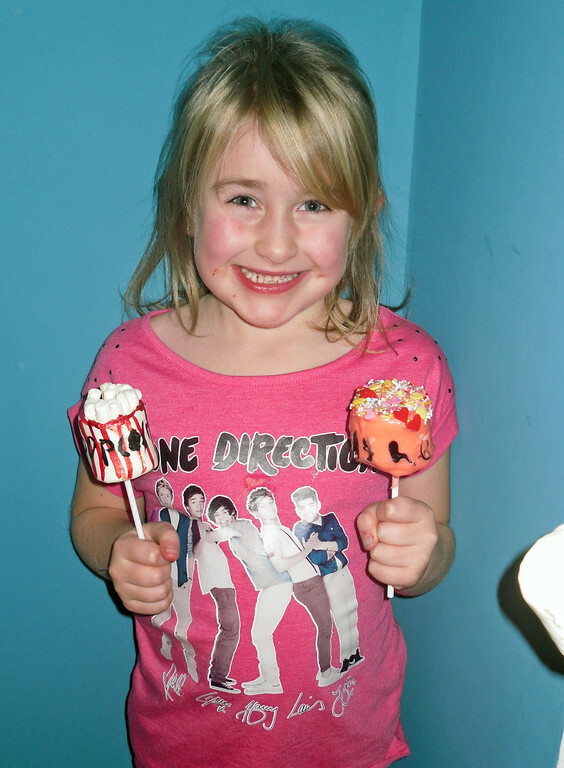 Parties of 6 or more, from £12.50 per person (dependent on length of party and number of mallows). 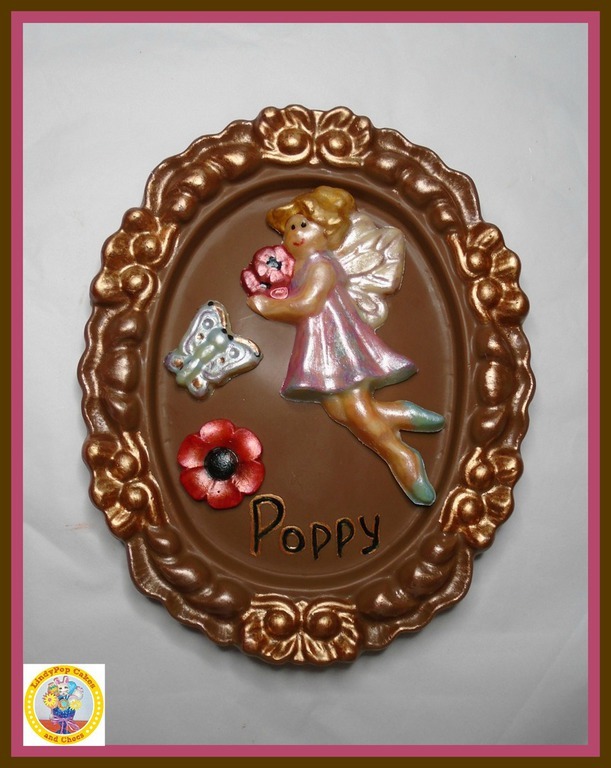 SEE PRICE LIST BELOW. 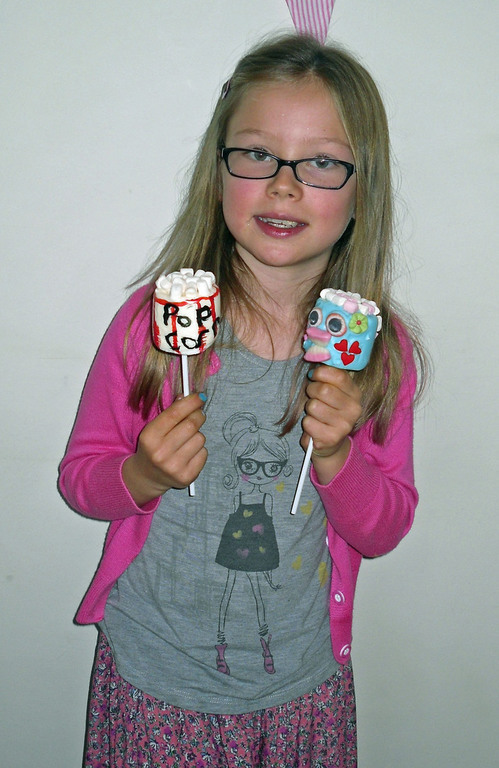 Choose from a range of fun, giant marshmallow designs...just scroll down this page a little to see them .... or perhaps design your own! 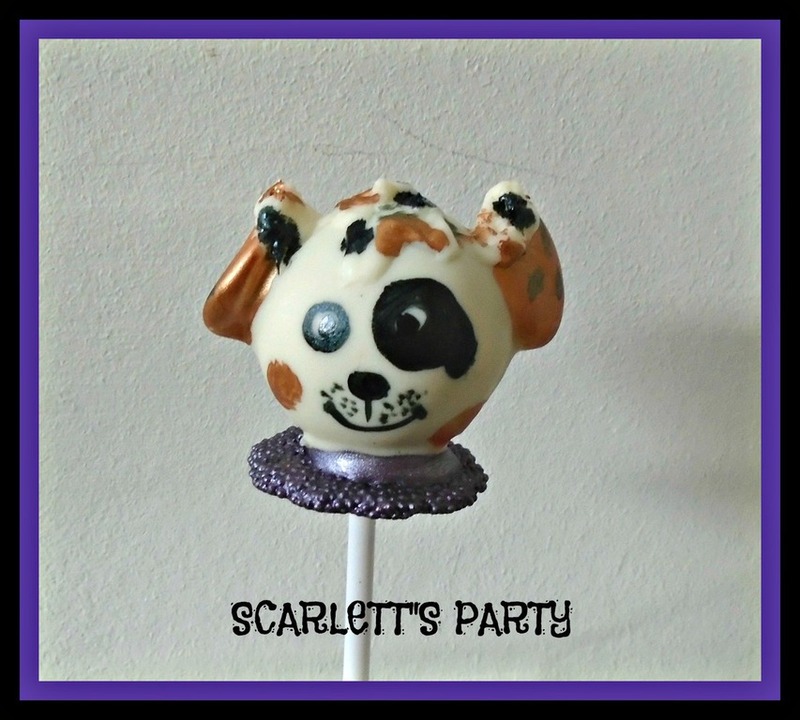 Can be combined with a chocolate decorating or cake pop party to keep it varied! 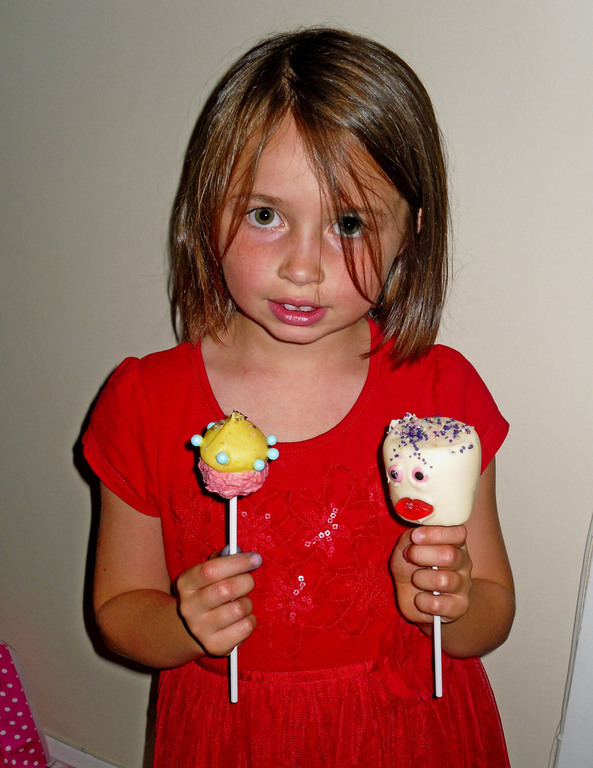 Can be combined with a chocolate decorating or pop cake party for a double dose of creativity! 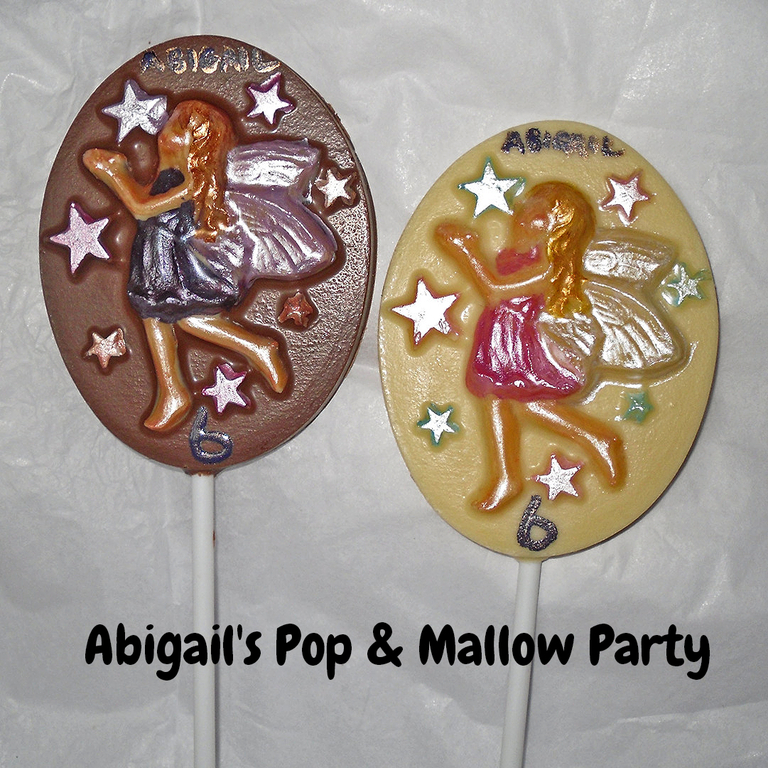 PLEASE FEEL FREE TO ASK FOR A PARTY COMBINATION THAT SUITS YOU BEST! 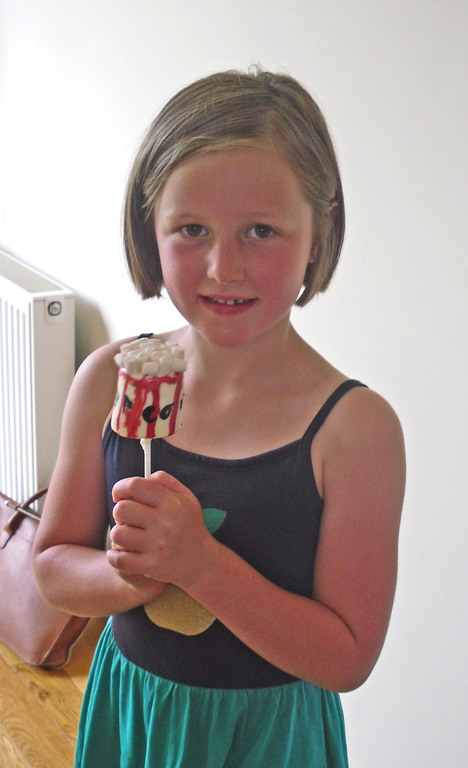 Plain or toffee - marshmallow style! 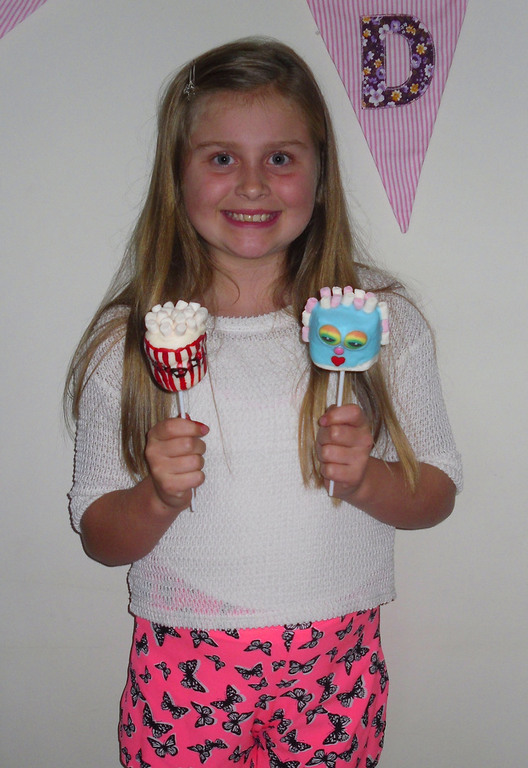 We can do girly robots or girly owls too! 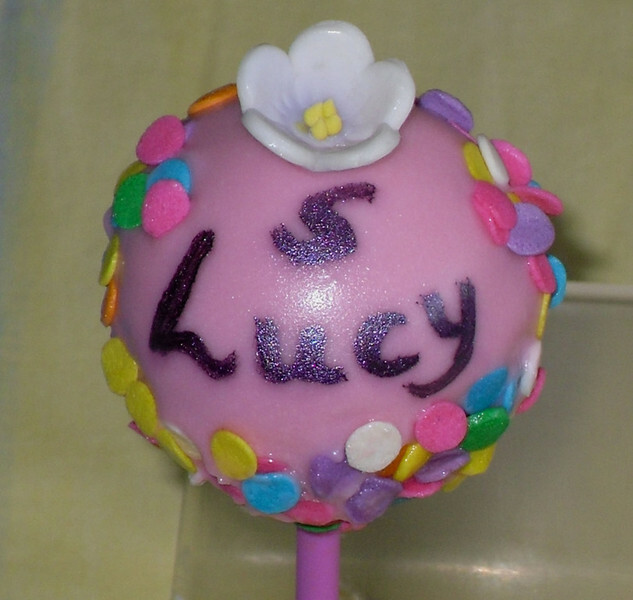 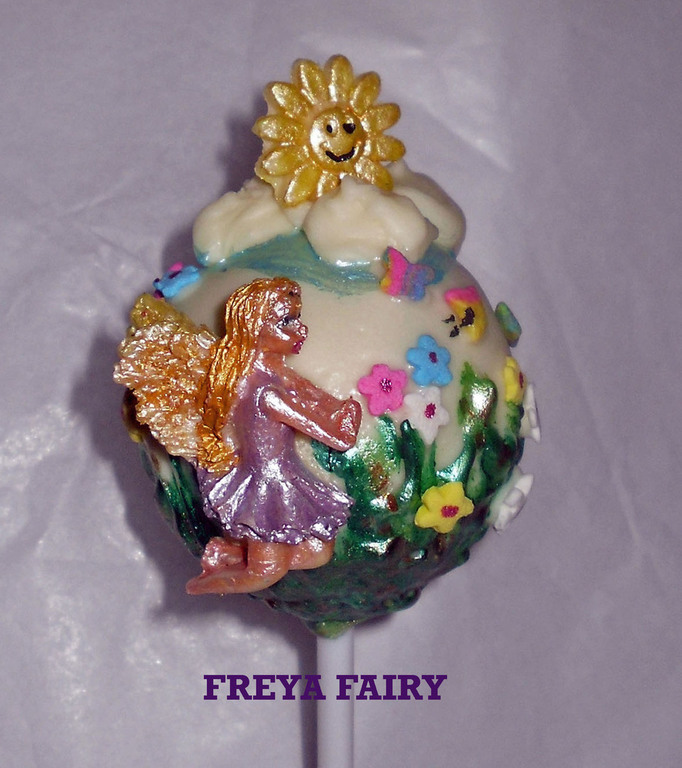 Top with a swirl and decorate with your choice of sprinkles and decorations. 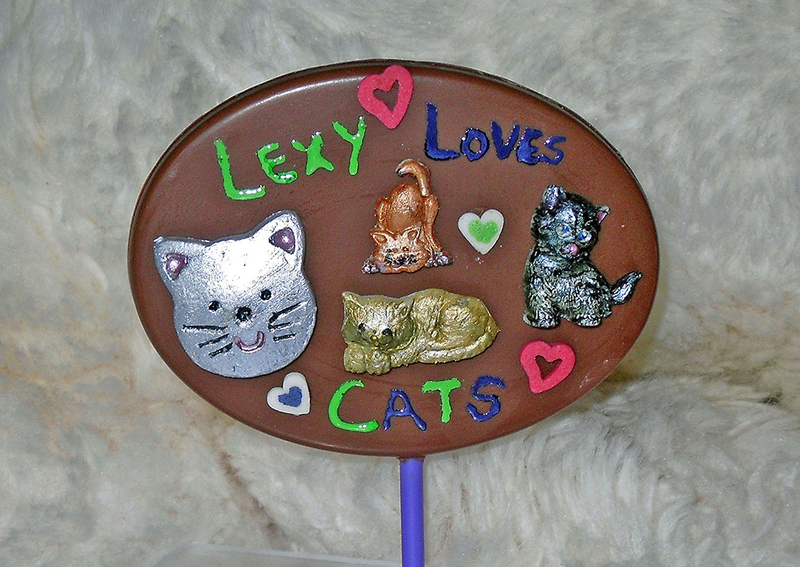 We can make them brown too! 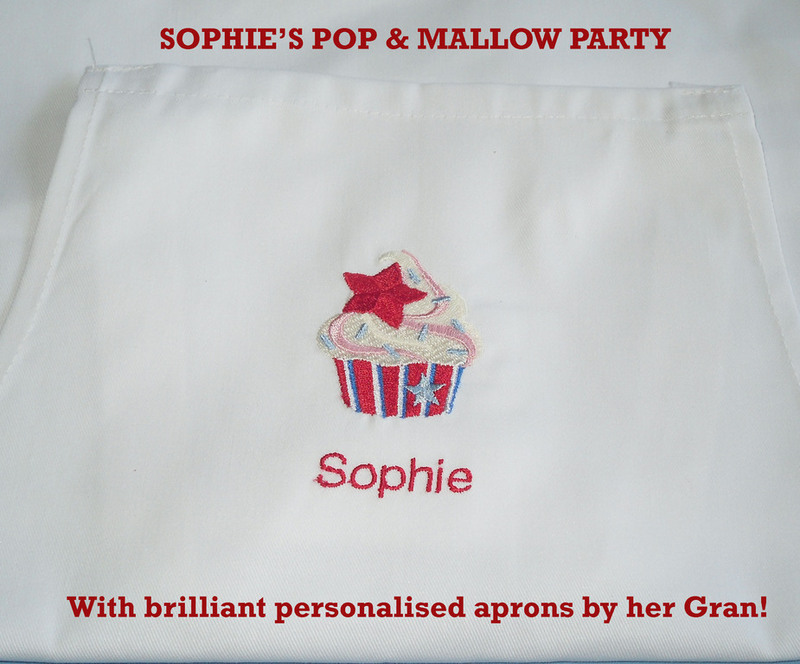 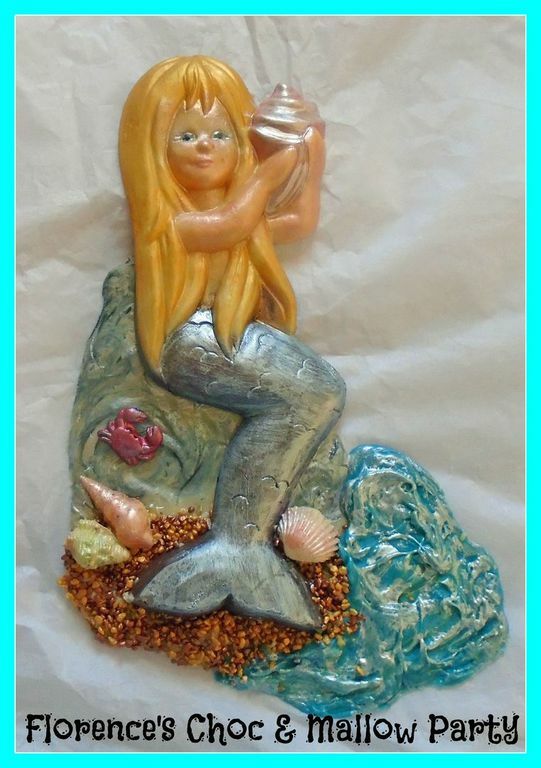 Can be made in a host of colours and personalised with paints. 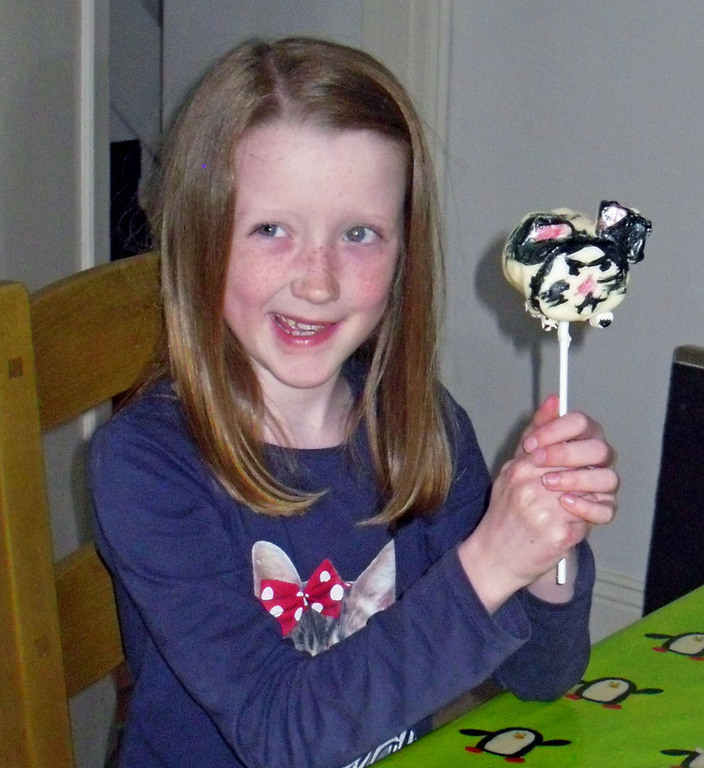 Or we can try a dog! 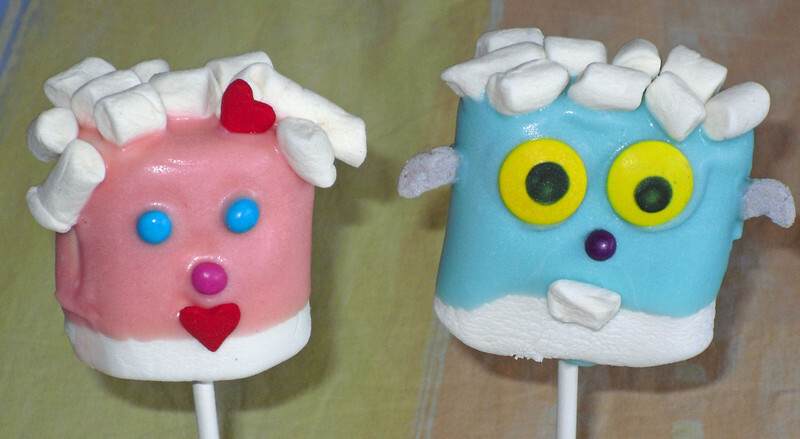 Make them silly, add hair, eyes, silly features or just make them pretty! 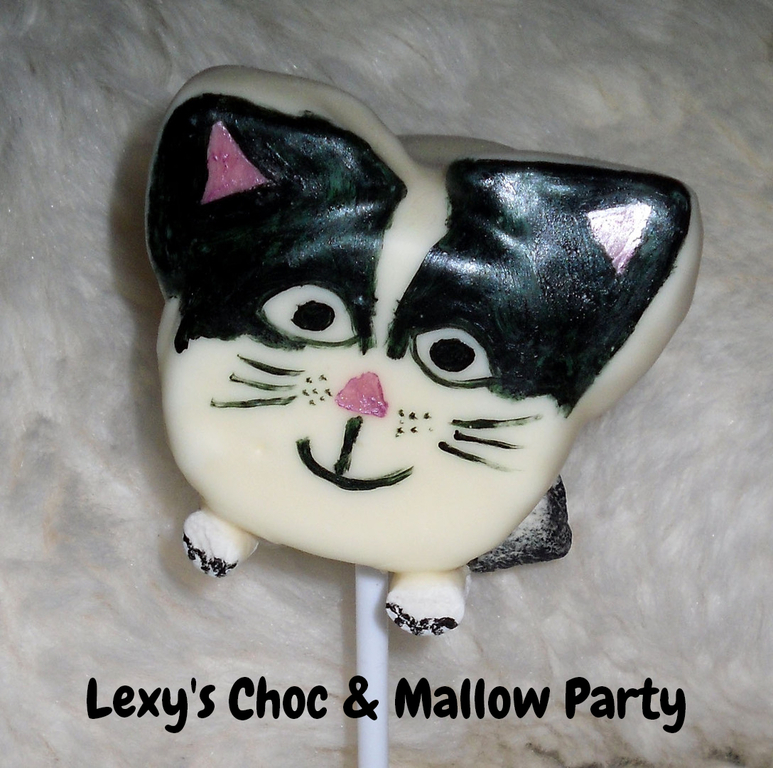 Delicious biscuit and mallow combination with the decoration of your choice. 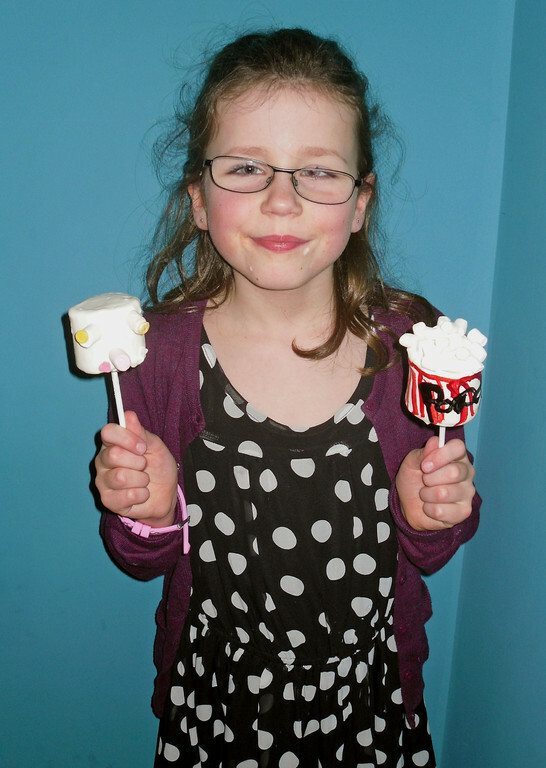 Mallows are often weird and wonderful shapes - this makes for some very interesting hats!